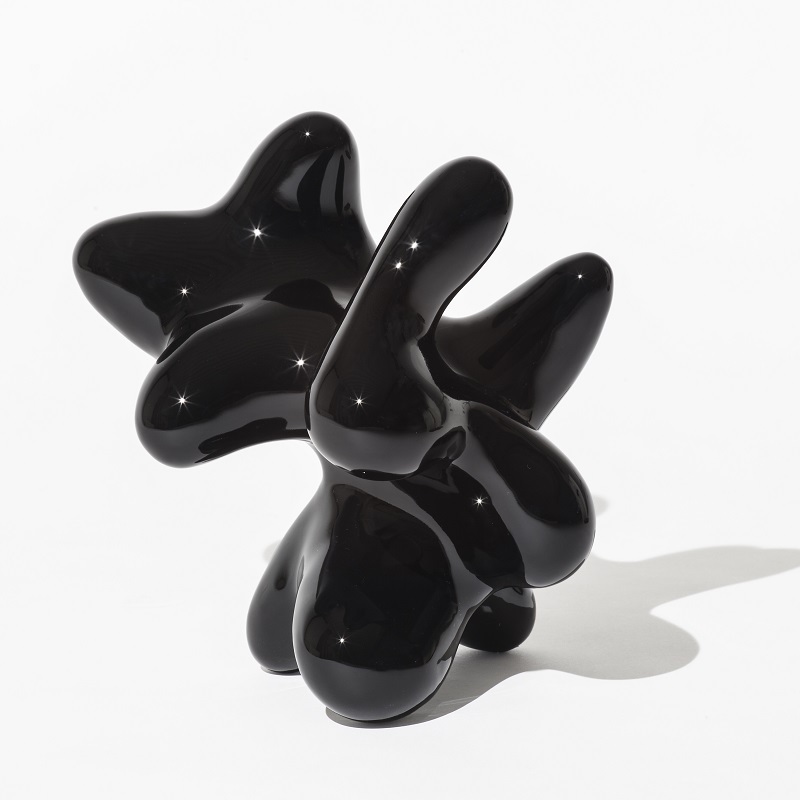 The gallery celebrates its 10th anniversary with a string of art pieces by more than 60 exhibitors, showing their private selection of special and unknown pieces, significant model sketches for inspiration, proposals for major projects. 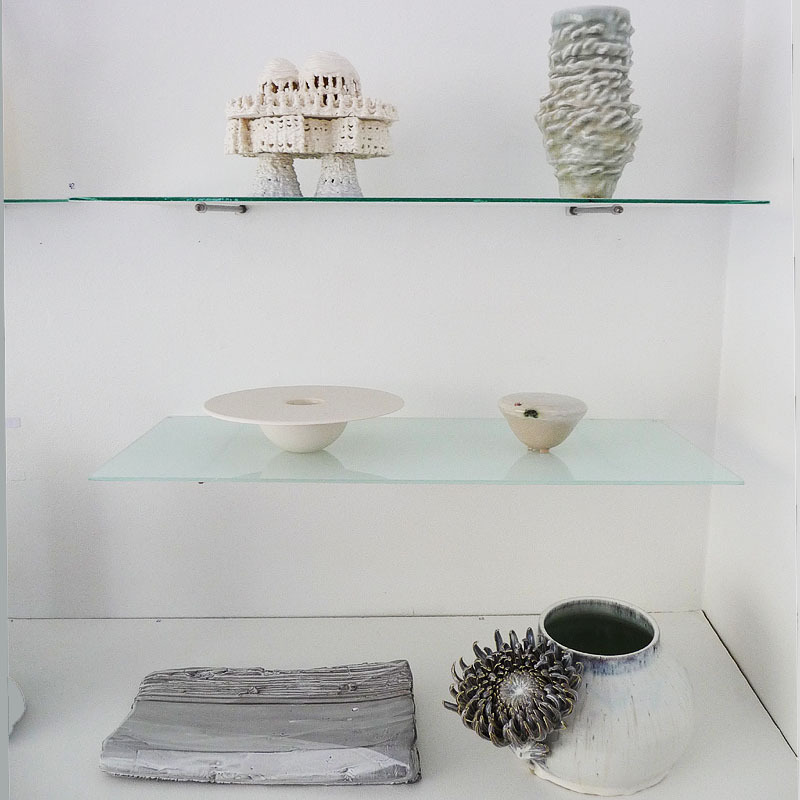 In the spirit of the Gallery, it is possible to look into a treasury of ideas and ceramics of traditional, conceptual and humorous nature. 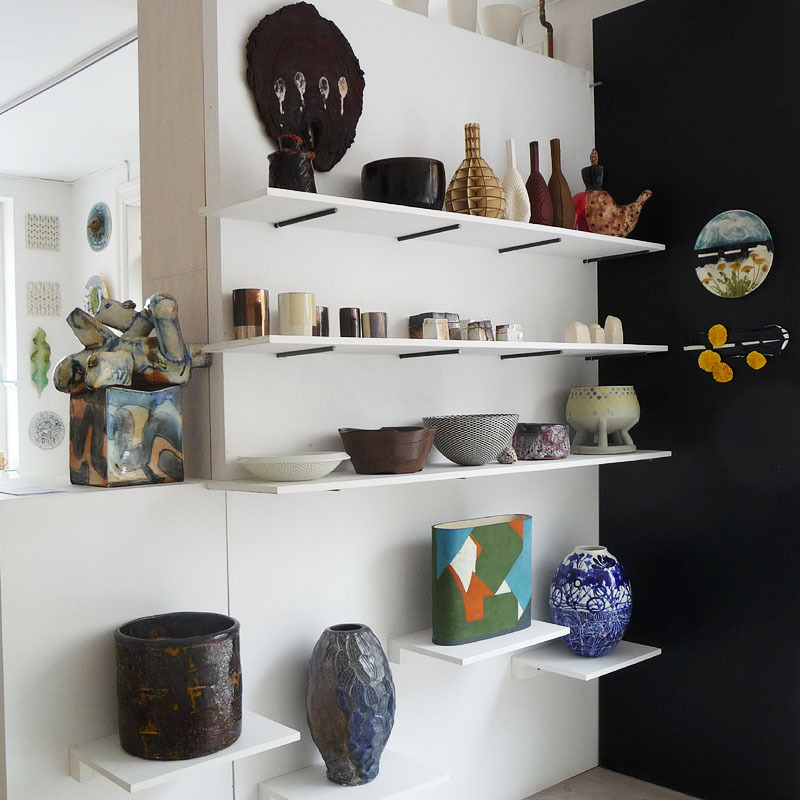 The Gallery is small, but the 'ceiling high' when it comes to quality - promoting, professional and idealistic. 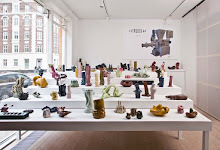 In collaboration with the artists, the Gallery has shown about 100 exhibitions, often in a combination of recognised established and new talents, international names in relation to Danish colleagues and thematic exhibitions, - focusing on current traditional and experimental contemporary ceramic art and unique ceramic pieces. 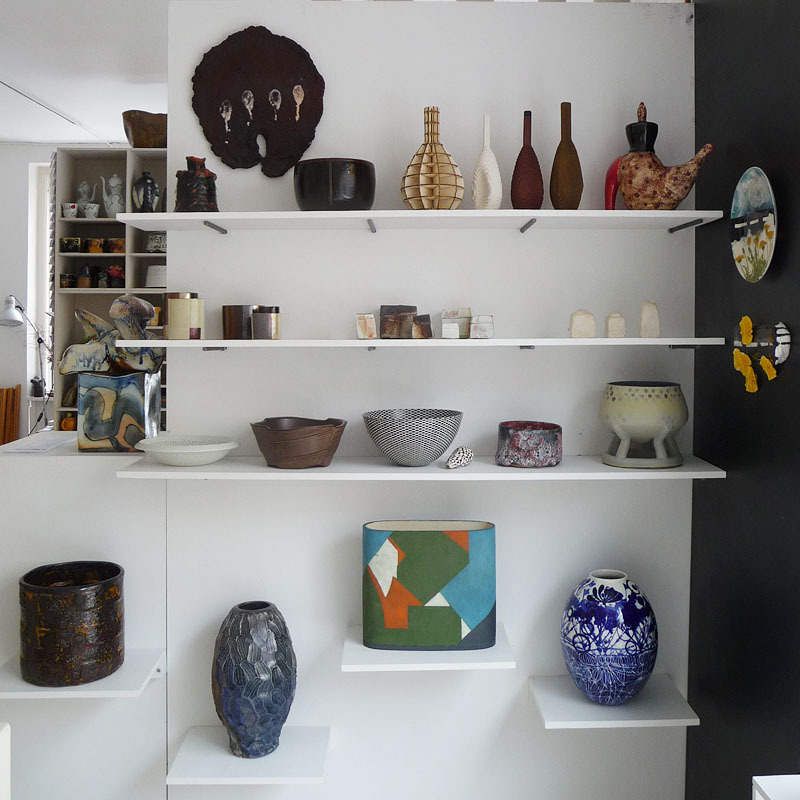 THANK YOU to all the exhibitors who have shown their great pieces in the Gallery over the years. Also grateful thanks to the Danish Art Foundation, Ellen & Knud Dalhoff Larsens Fond, Danmarks Nationalbank's Anniversary Foundation, L.F.Foghts Fond, OJD Fonden, and art associations, private collectors, faithful customers, colleagues, friends and family for invaluable support. 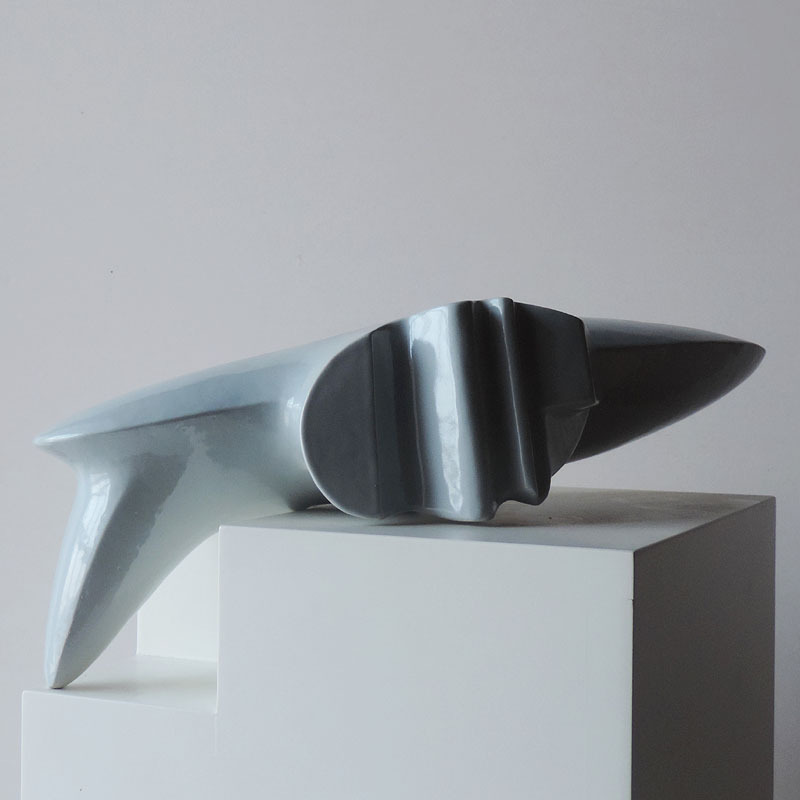 One of the first pieces creating the ideas of many more. 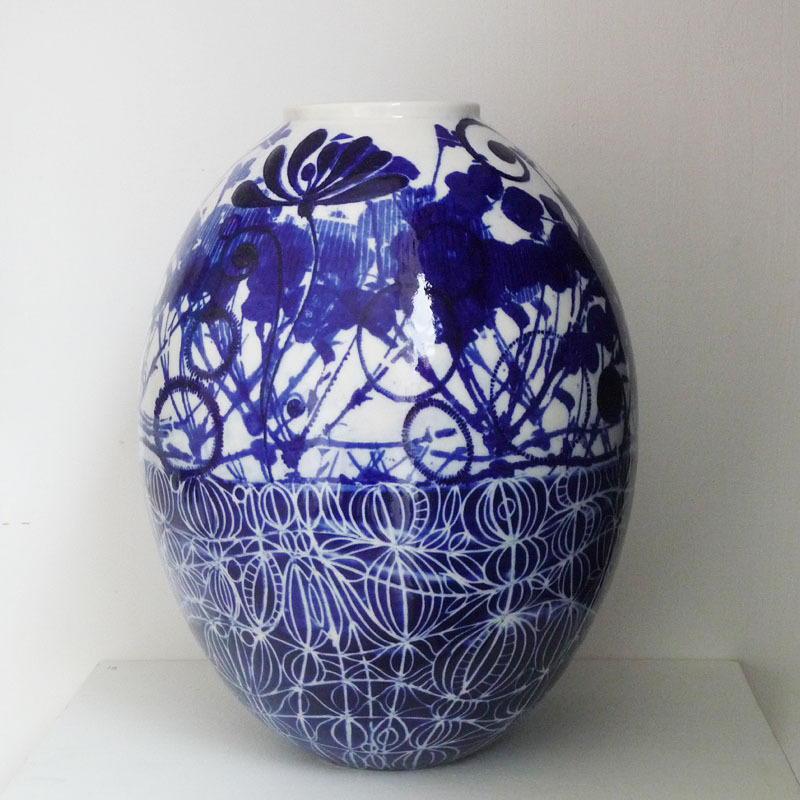 Porcelain, graphic print, glaze, gas kiln 1280C. Simplicity, tranquility. Shape, color and drawing are united. A study that can move in many directions. 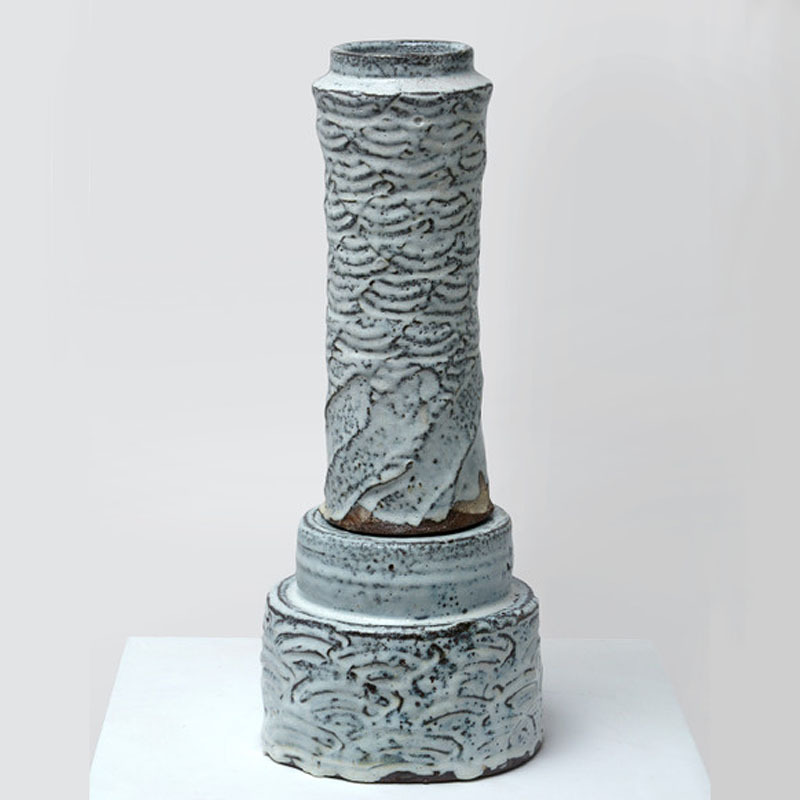 Interdisciplinary collaboration with material blends of glaze and clay, core-drilling. 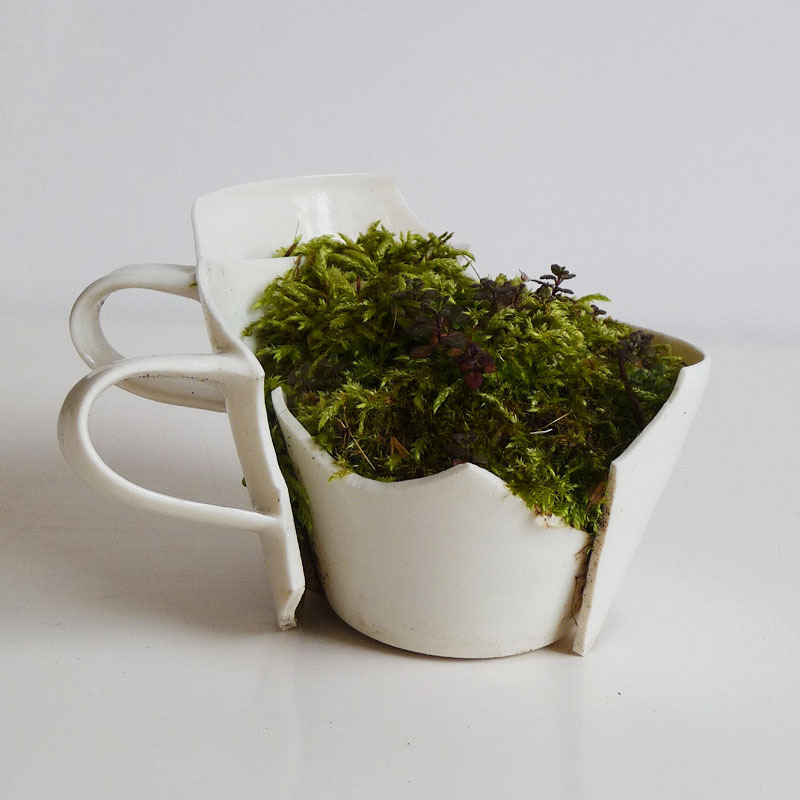 A new upcycle project inspired by wild plants in urban culture - on nature's conquest of human-made. 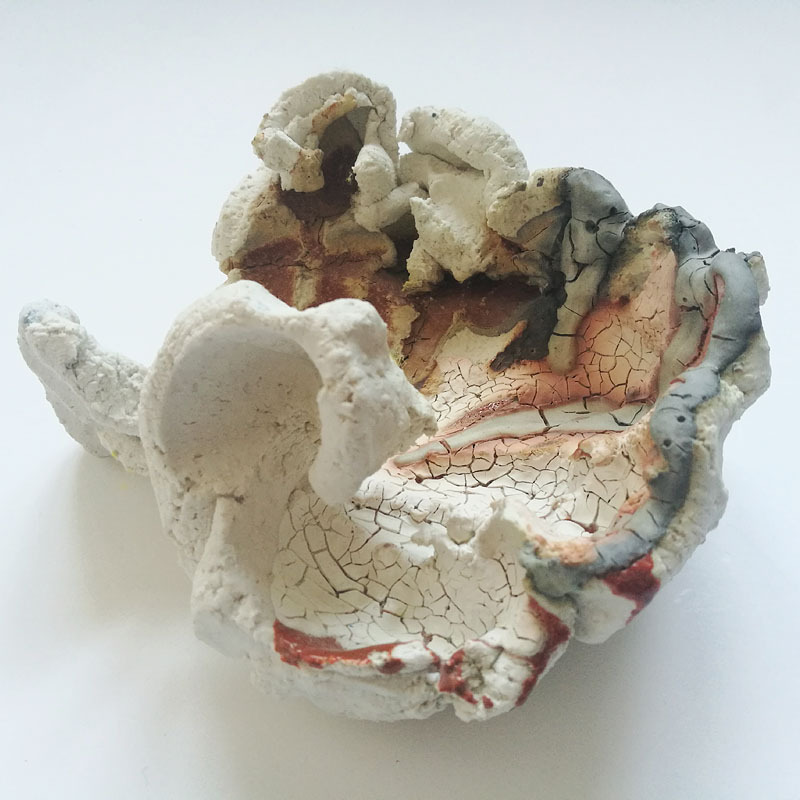 Ceramic cup shards and growth in a common life, - about decay and life cycle. 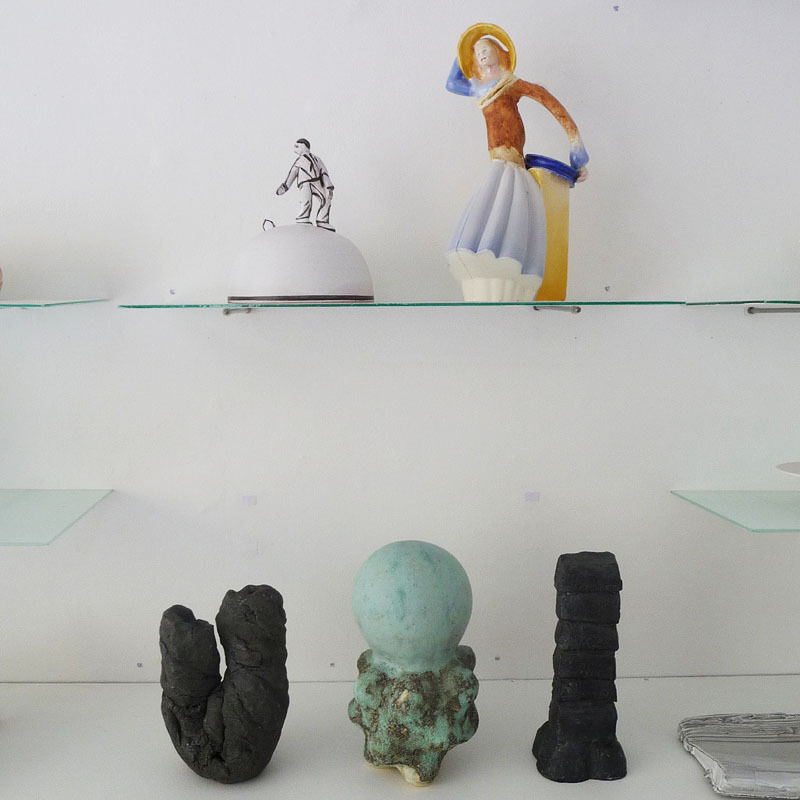 The work is a derelict and shattering from my everyday function-product casting. 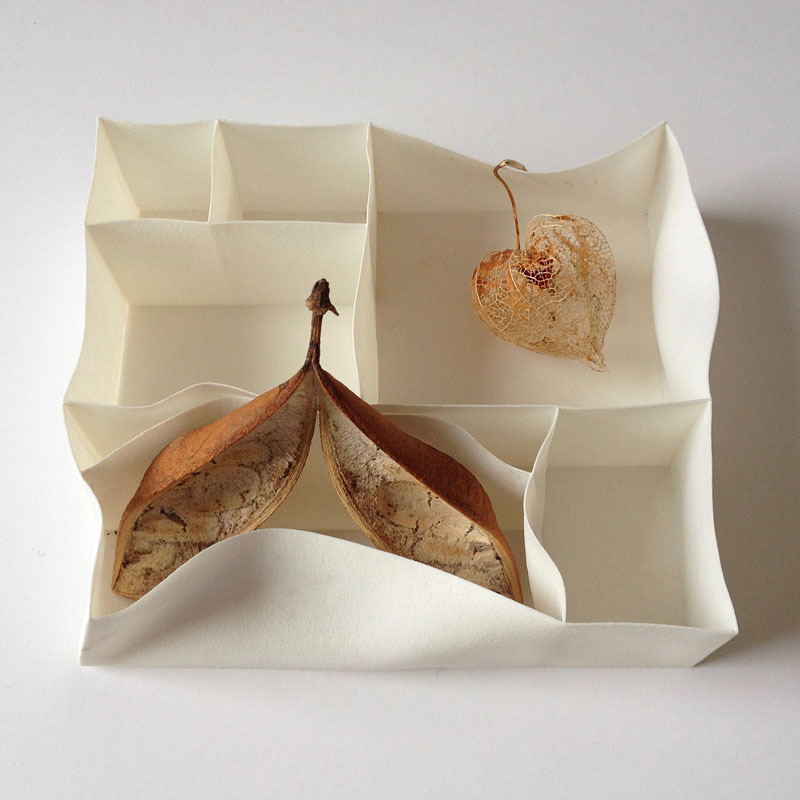 I have played with the forms that I make for Michelin restaurants and put them together challengingly. 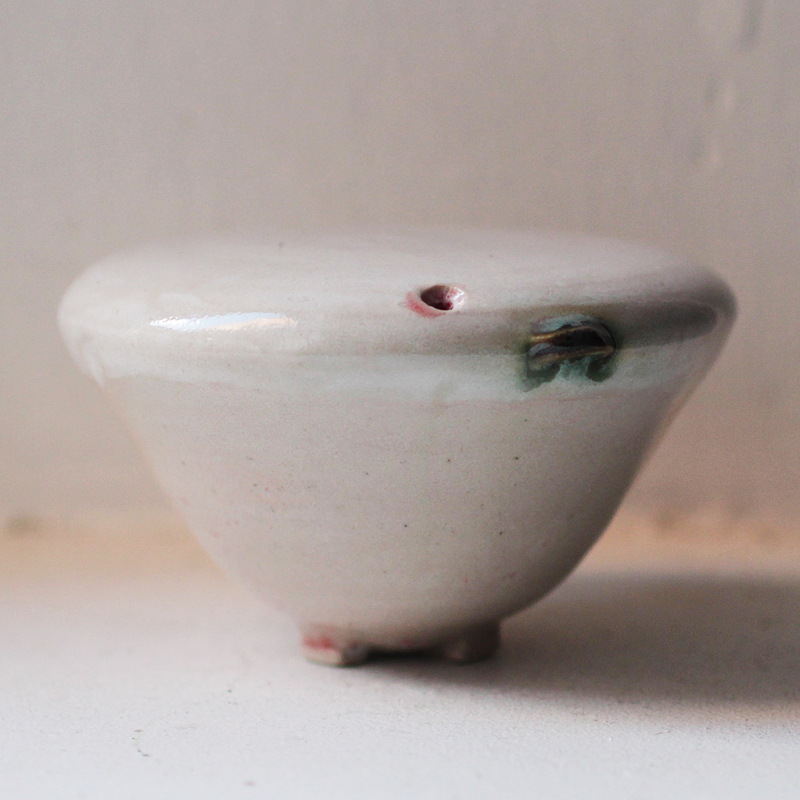 A special glaze expression inspired a start of my project on thrown vessels. Fascination of the SkarpSalling Kar, a historic vessel of great artistic craftsmanship, always part of new interpretation. 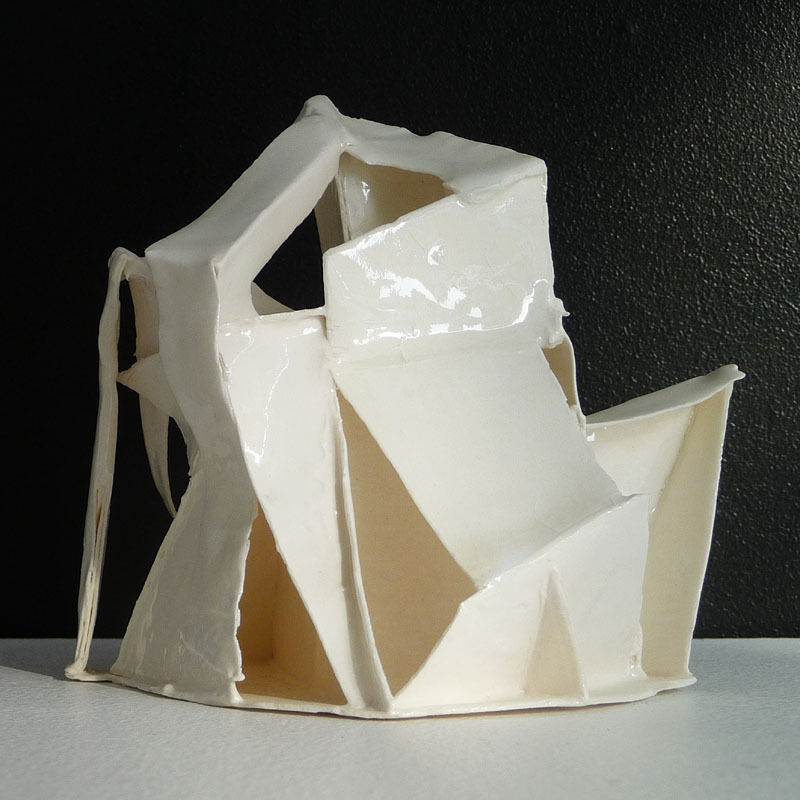 Three-dimensional drawing, a work that points towards airy constructions. 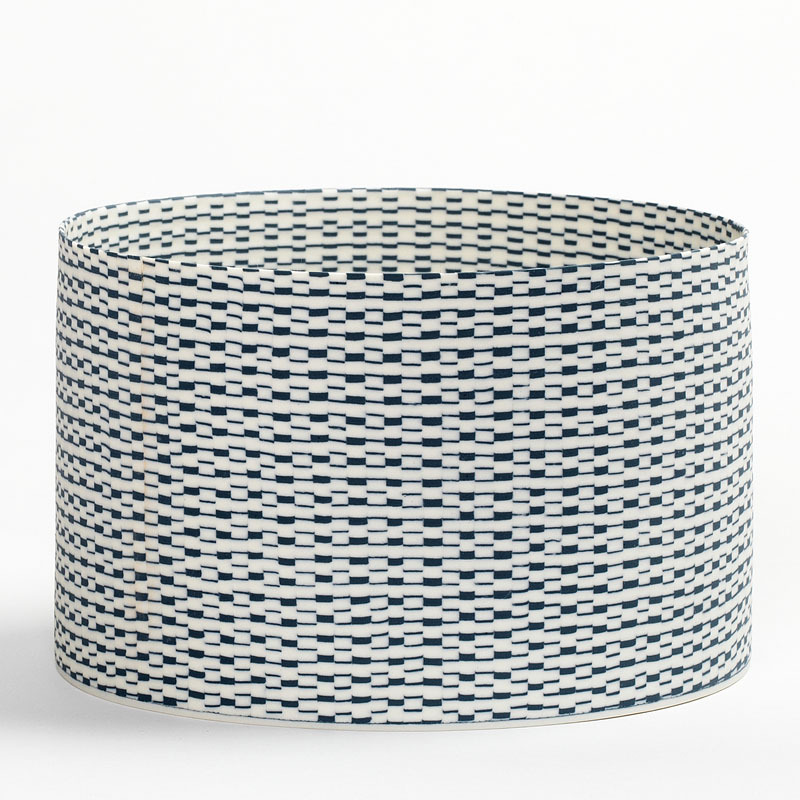 Inspired by rhythmic motifs and - a play with dimensions. Often inspiration is gained in nature's own formal principles and phenomena, and this time the starting point is the American Ribbegople Mnemiopsis leidyi, also known as the Kill Mount. With references to the history of my subject area and my own family history, I have chosen this jar for Masterpieces. A mix between factual registration and free imagination. 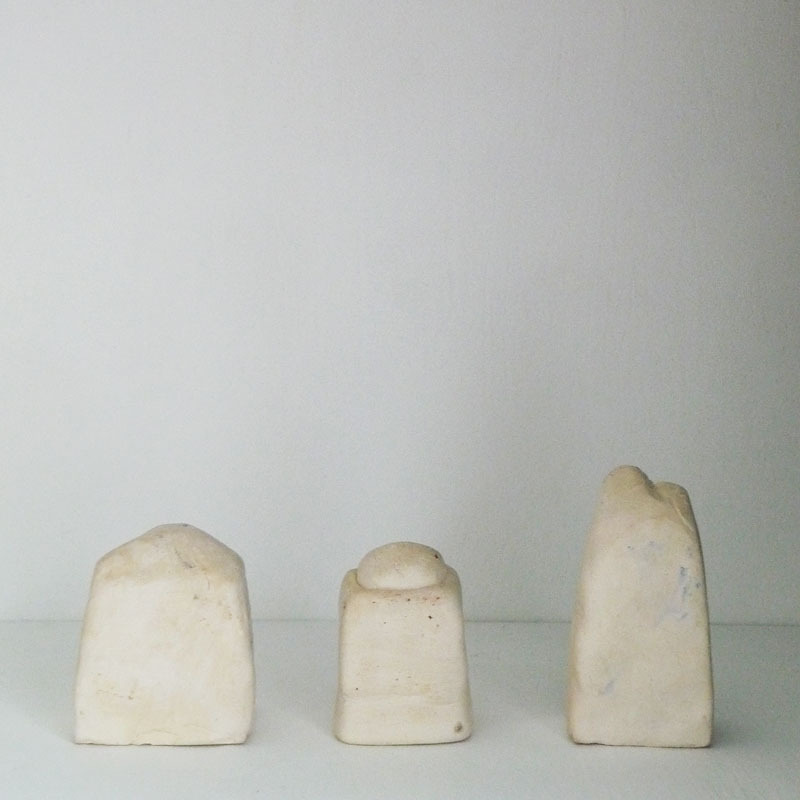 10 x 31 x 38 cm. 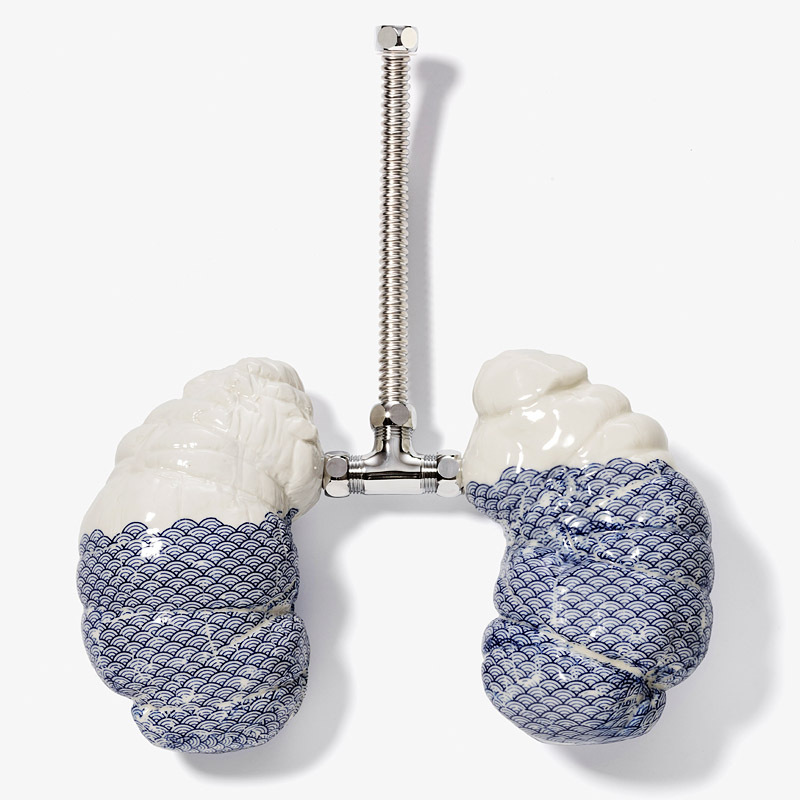 The piece was a great and exciting challenge, inspired by inhibited lung function. A pain, a feeling of suffocation. Decal print is a Japanese traditional pattern transformed. 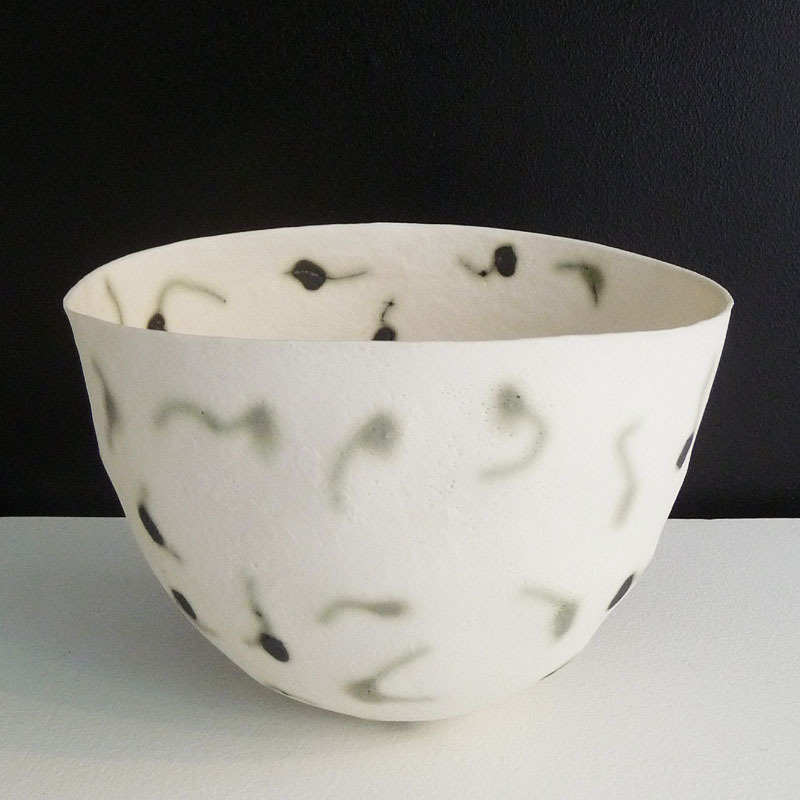 Modelled porcelain paper, oxide crayon, glaze. Japan. 10 x 15 x 35 cm. 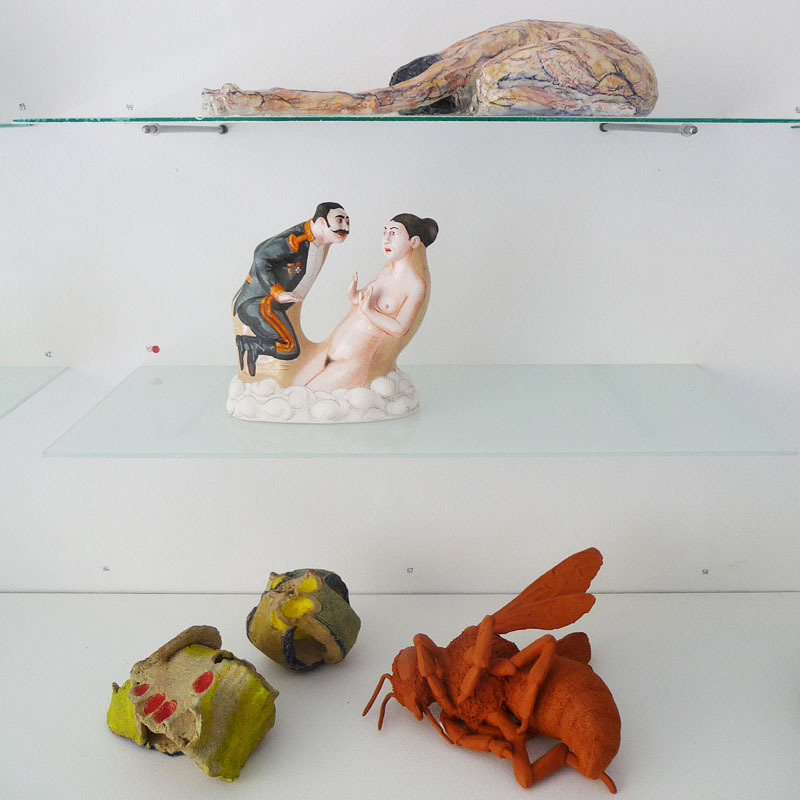 The work is a rethink of old drawings. I am inspired by the yoga position The Children's Position, the colorful graphic surface is inspired by the painter Egon Schiele. 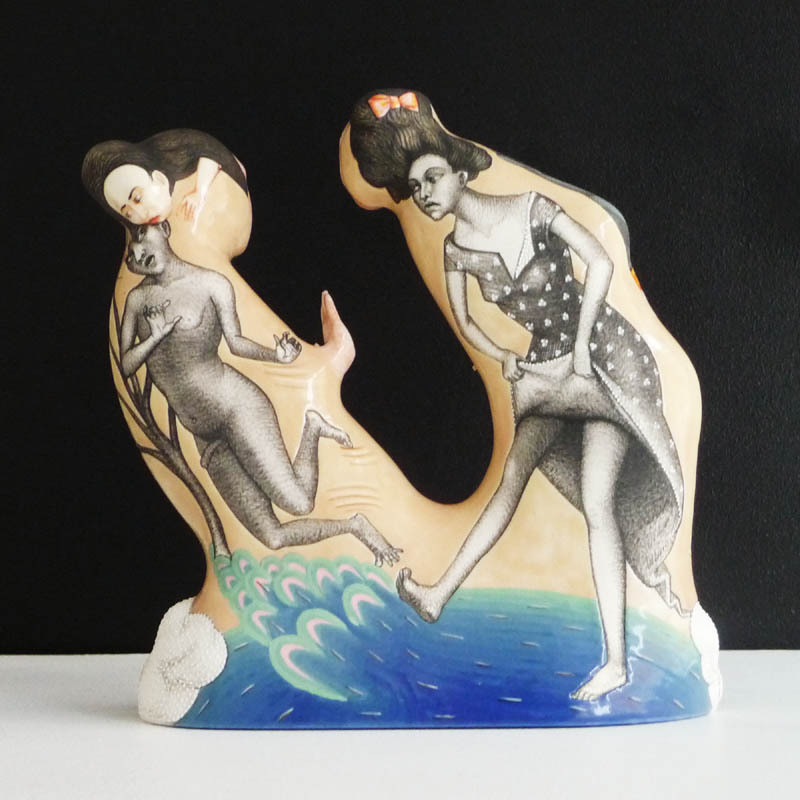 An expression translated into 3D and ceramics, as an extension of my other body pieces. 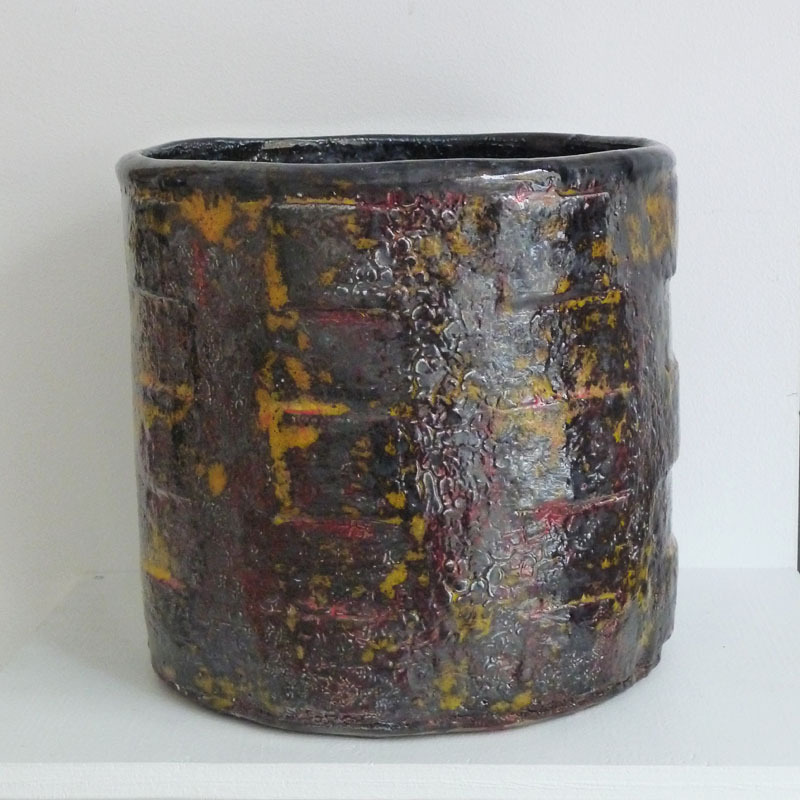 Cylinder, porcelain, paint & transfer, lustre.. 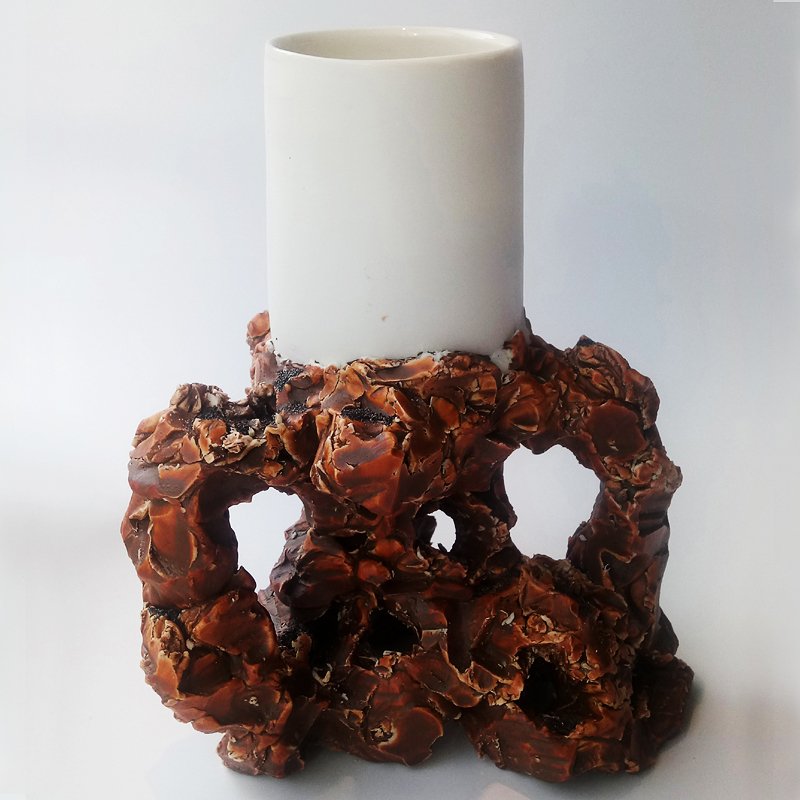 The cylinder was cast, dried, bisqued. 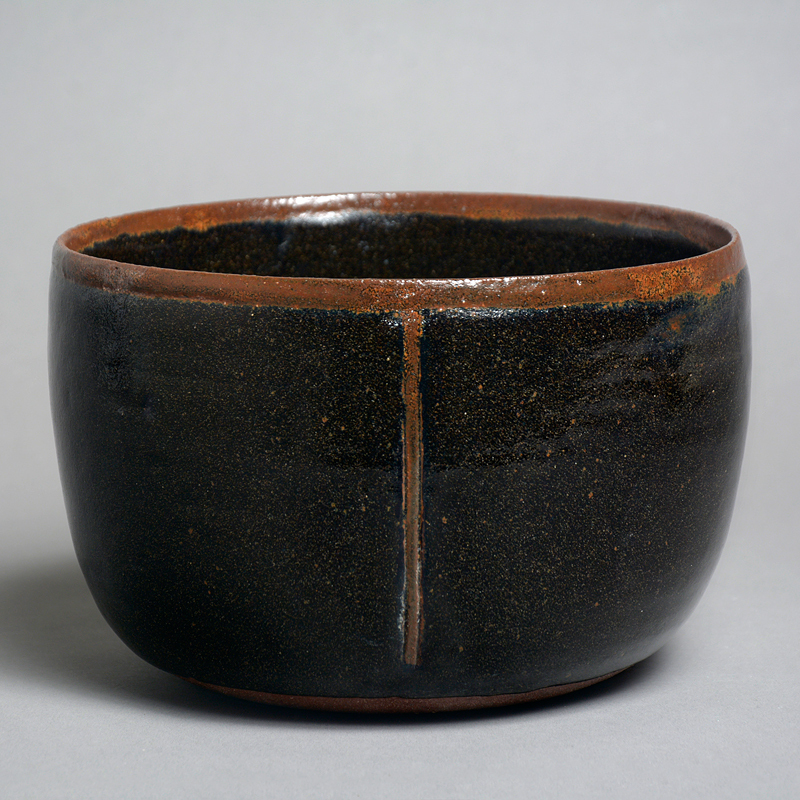 After high glaze firing, it appeared full of iron stains. On my way to the bin, I thought - no. 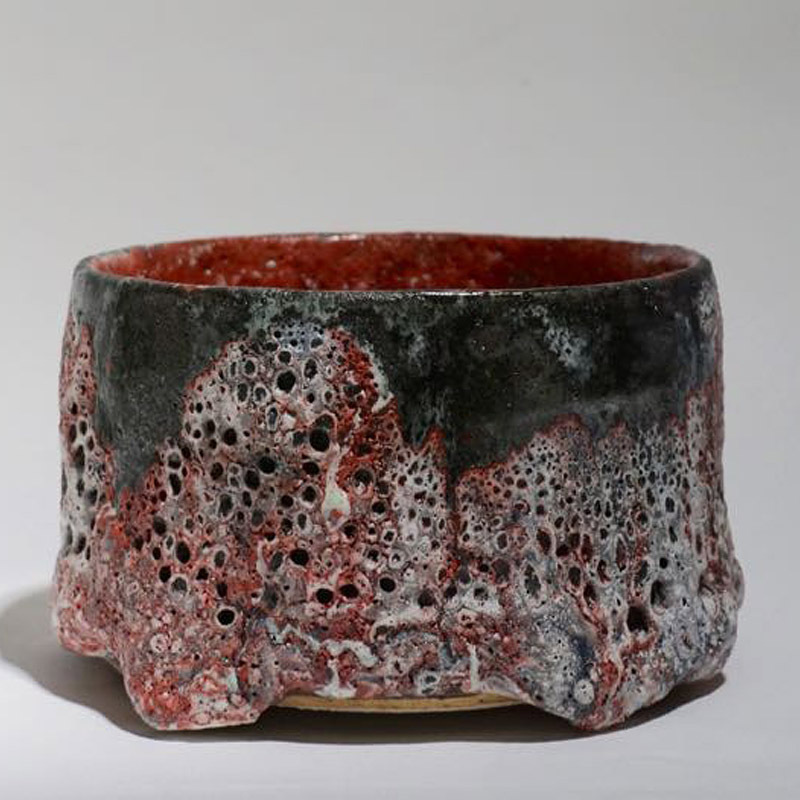 Tried my red Japanese color in a new low firing. Next fired yellow and turquoise transfers. It looked no good, - I became stubborn, in a way found it's ugliness interesting, perhaps even beautiful. 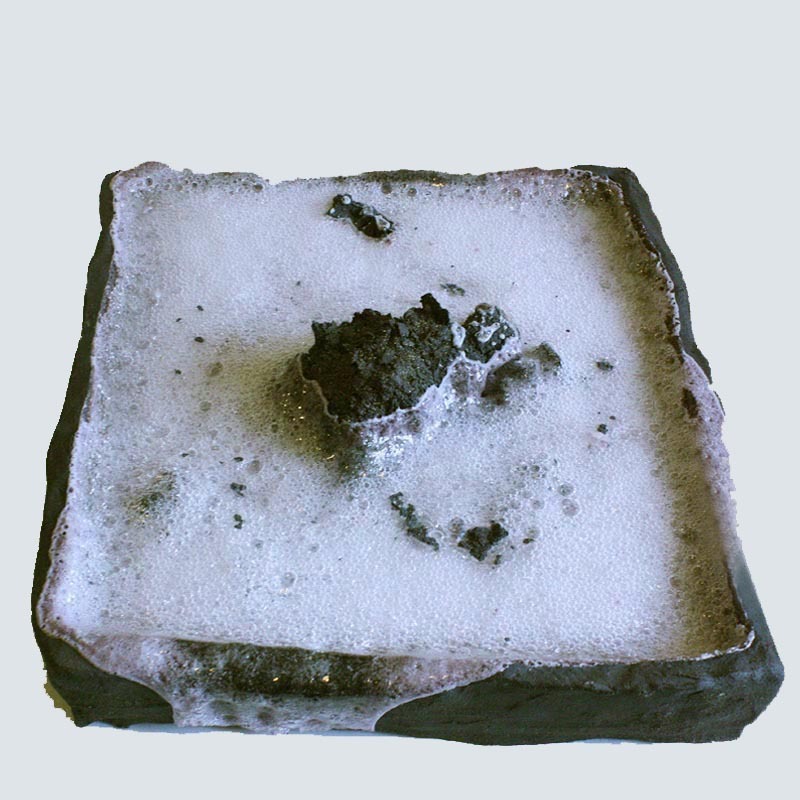 Fired with luster, again in a different temperature. After 5 firings, it has become my little problem child. Masterpiece - yes, maybe only for myself. Rhythmic planes captured in a simple structure. Throwing is my language. 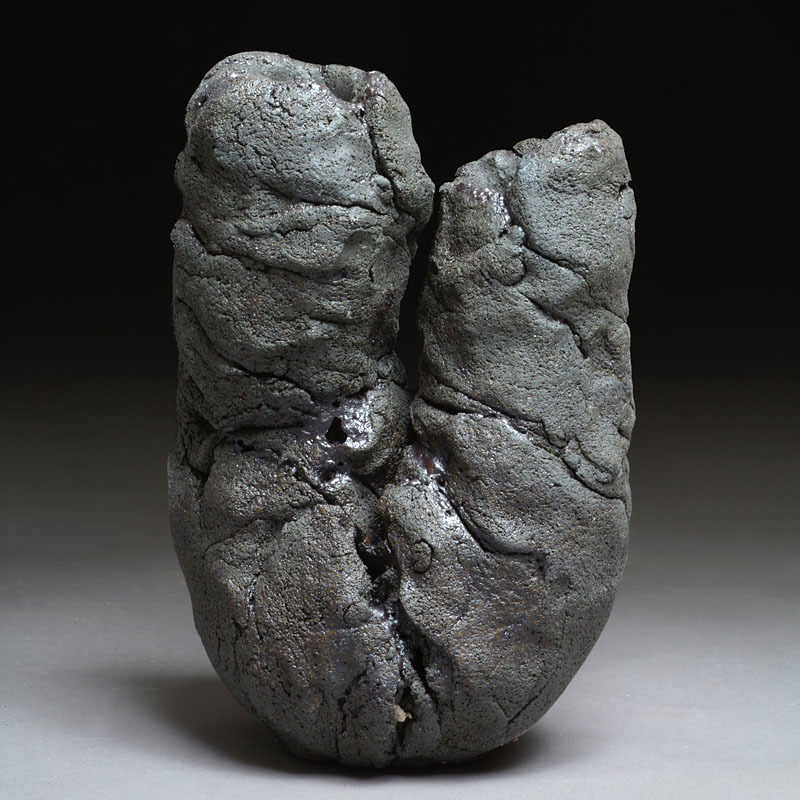 The piece tells me about relationship of structure and shape, change in the firing, and other matters I do not completely control, maybe more in a dialogue. 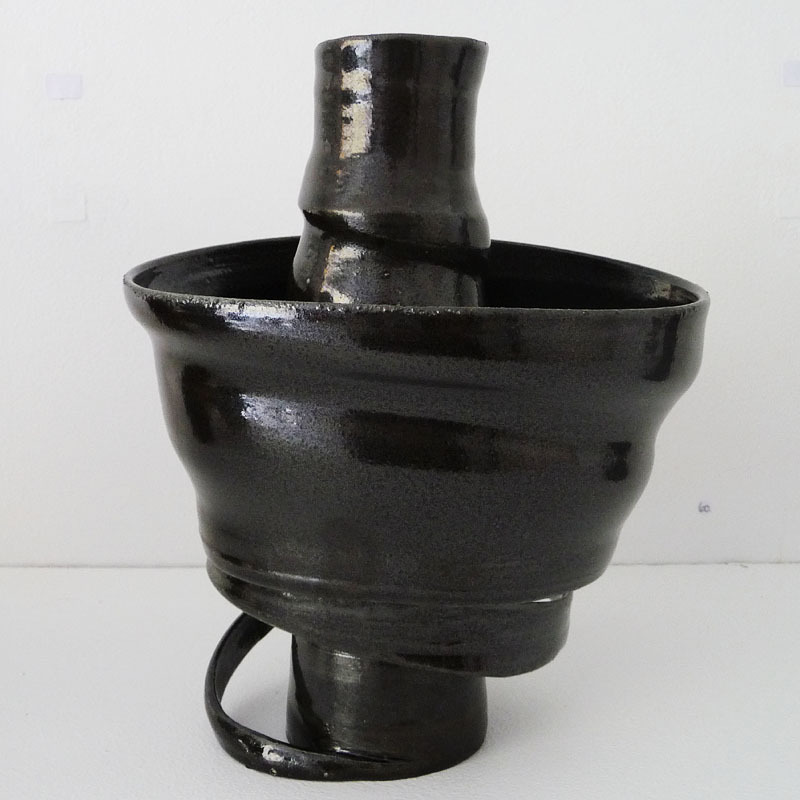 The piece is a study for a series of larger jars created in collaboration with potters in Vietnam. 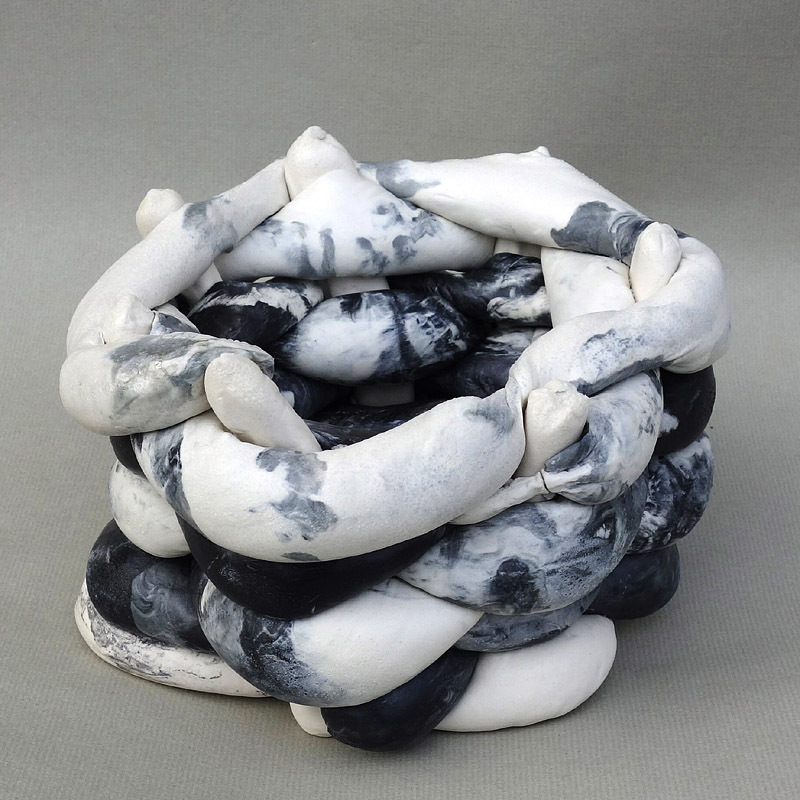 Heavy, lazy, liquid clay is braided in fragile lamb intestines. The body meets the material. 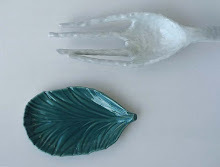 When I lost my sister and my husband a few years ago, the thin porcelain became a symbol of the fragility of life. Shown in this work, the decoration is also a picture of fertility and life. DORTHE SØNDERGAARD (b. 1961, DK..Norway) was educated at the Design School in Copenhagen (KADK) 1981-87. Designer for LEGO a/s 1987-94. Living in Norway since 1995. 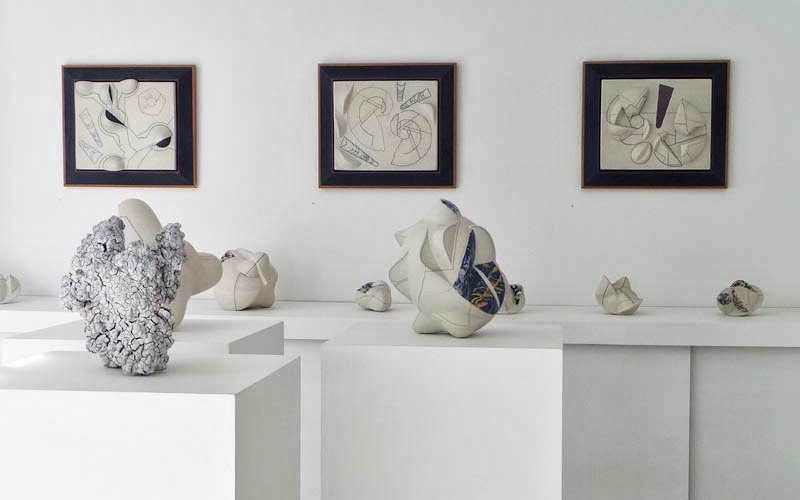 EXHIBITIONS Galleri Svalbard, Bærum Kunsthall, Heine Onstad Kunstcenter, Oppland Kunstcenter, Galleri Format, Ann Linnemann Gallery. OUTDOOR COMMISSIONS Norske konsulat Spanien, Udenrigsministeriet Oslo, Statens Vejvæsen. SALES TO Inkøbsfondet for Norsk Kunsthåndværk, Norsk Kulturministerium, Norsk Forskningsråd. GRANTS & AWARDS Knud Højgård's Foundation, Statens Exhibition stipend, Norsk Kulturråd. MEMBER Norske Billedkunstnere, Norske Kunsthåndværkere. 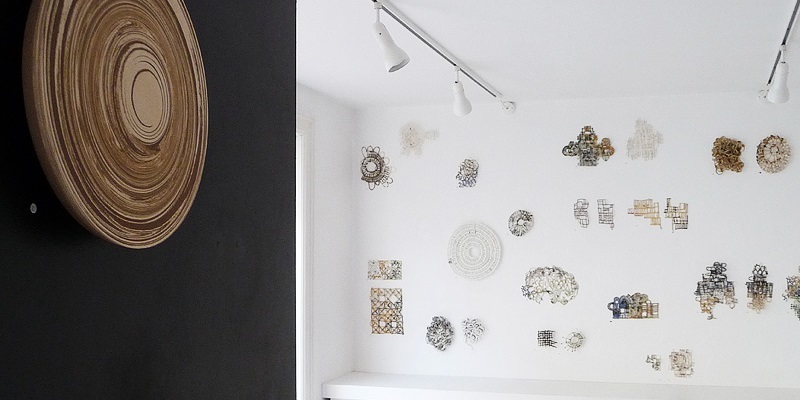 Challenged by the qualities of the material and testing limits on its ability, the small wall objects can be seen as drafting larger works, but are also art objects in their own right. 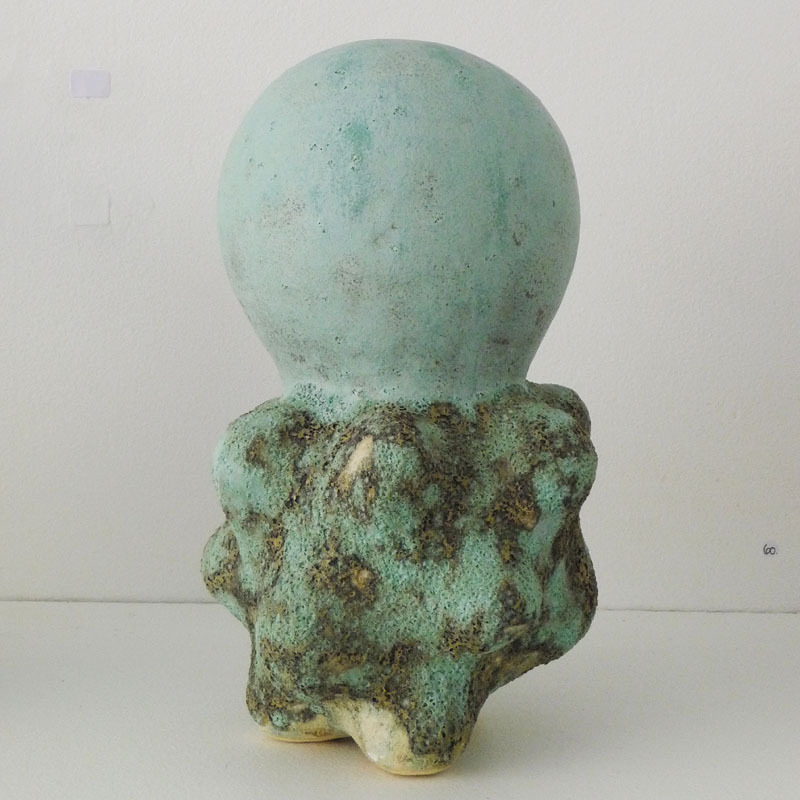 Sculpture made of unfired clay and dissolved in water in an aquarium, that is then dried up with the 'sculpture' located in the frame/tray and fired all together at 1260C. 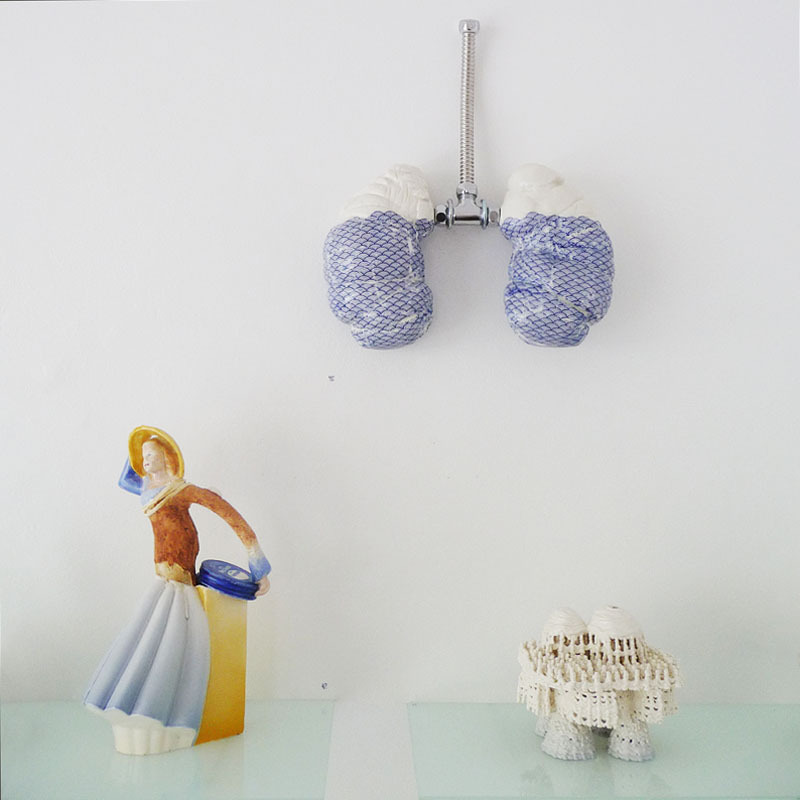 FLOPPER/CHRISTIAN MASTRUP (b. 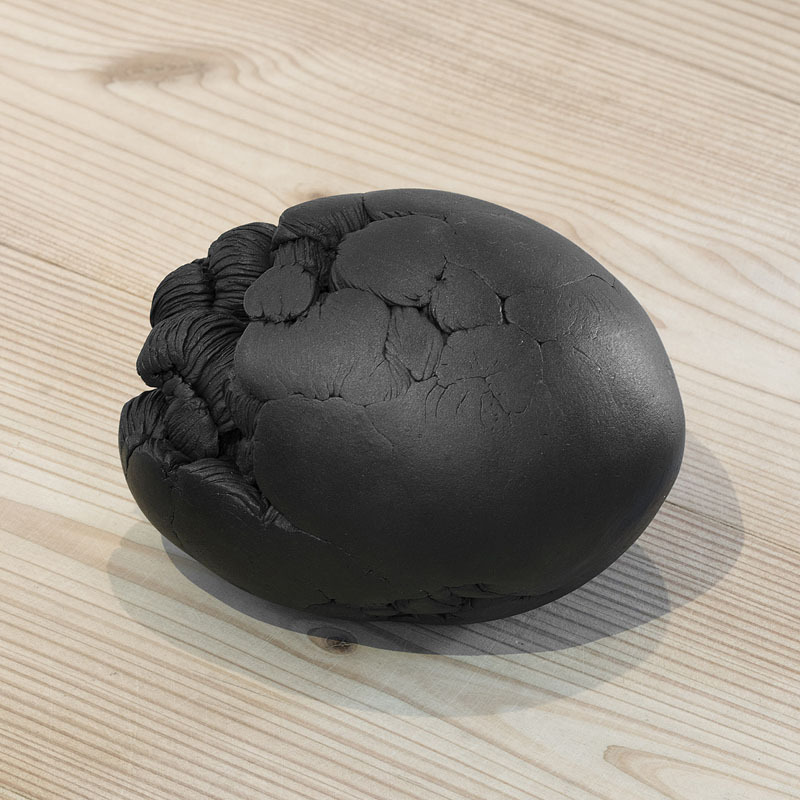 1974, DK) was educated at the Royal Danish Art Academy 2006-12; Nordic Sound Art, Skandinavia 2010-12. 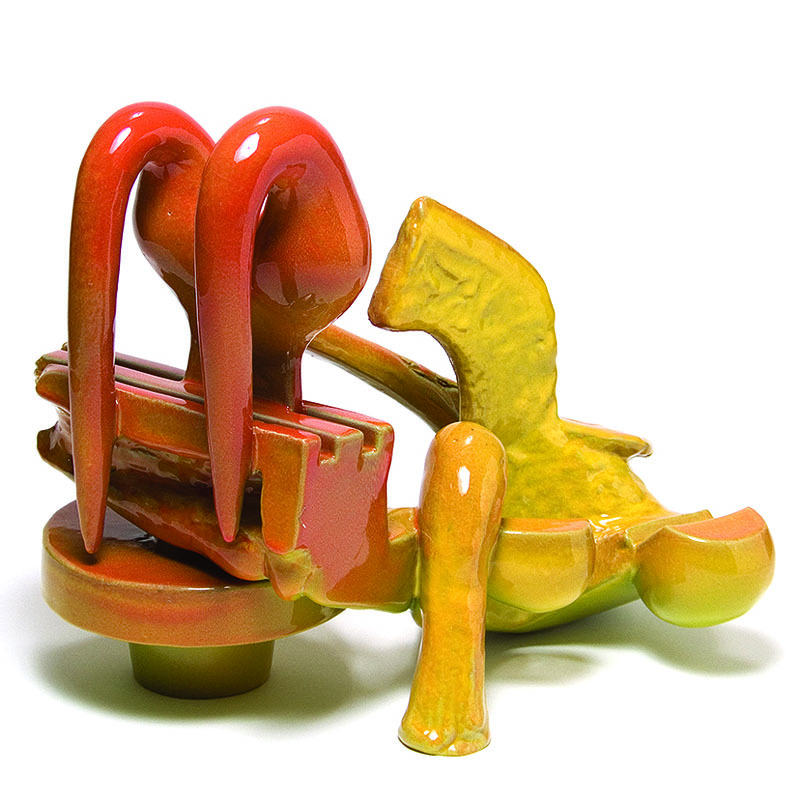 EXHIBITIONS Kunsthal Copenhagen, Krabbesholm højskole, 2018. Window 107, Istedgade 2017. Galleri Ruth: Lofoten 2017, Himmerland 2016. 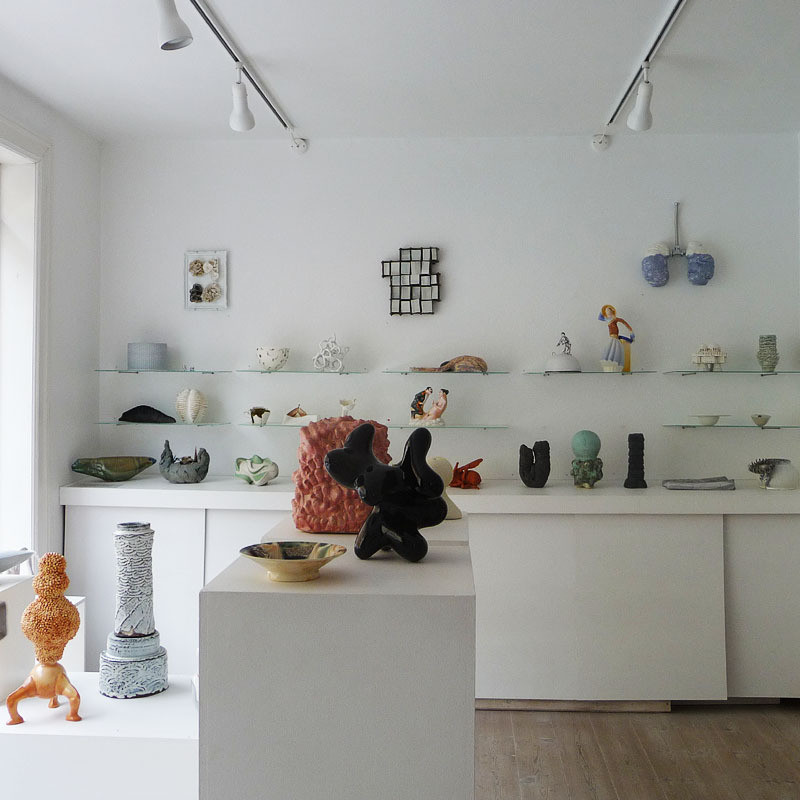 Ann Linnmann Gallery 2015. 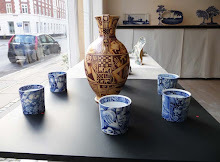 Vejen Art Museum 2014. Sejerøfestival 2014. Installation, Kulturnatten Assistenskirkegården 2014,13. 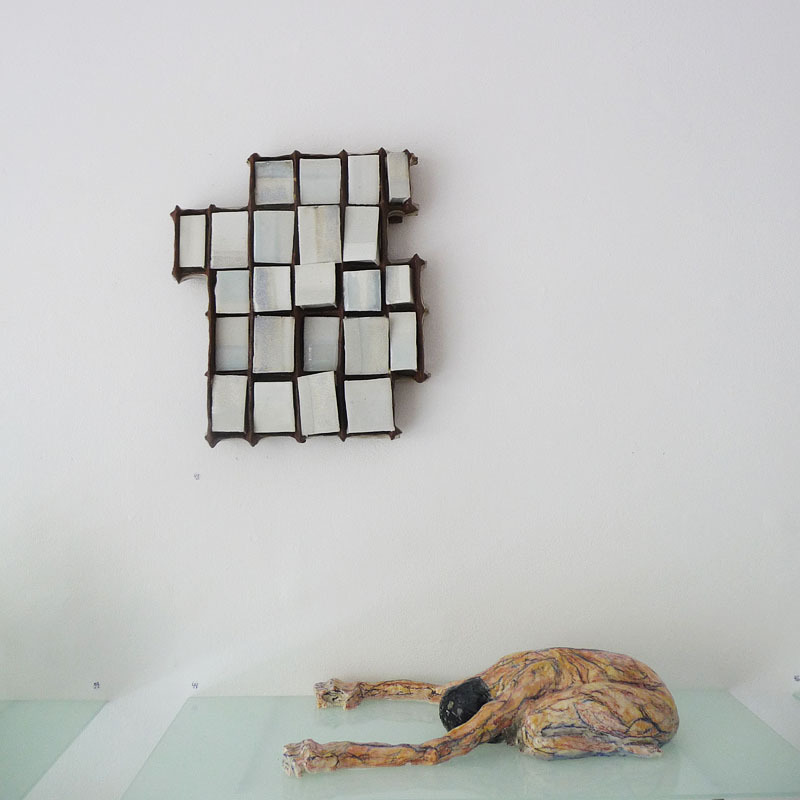 Solo, Mohs Galleri 2013. Museet for Samtidskunst 2012. 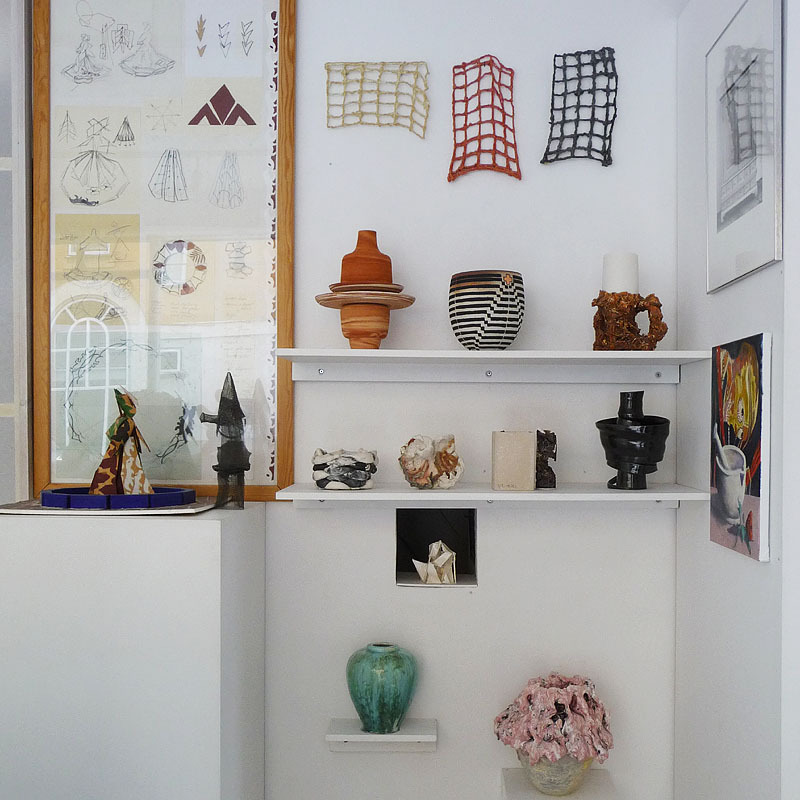 Nikolai Kunsthal 2012. Lakfestival 2012. HOUHOT Art Academy Mongoliet 2011. Singuhr Sound Gallery, Berlin 2011., Japanske Ambassade 2011. Installation Furesø Kommune 2009. Kellokoski skulptursymposium, Finland 2009 Half-Machine Copenhagen 2003-08. Technical installations at Signa Sørensen 2004-06. 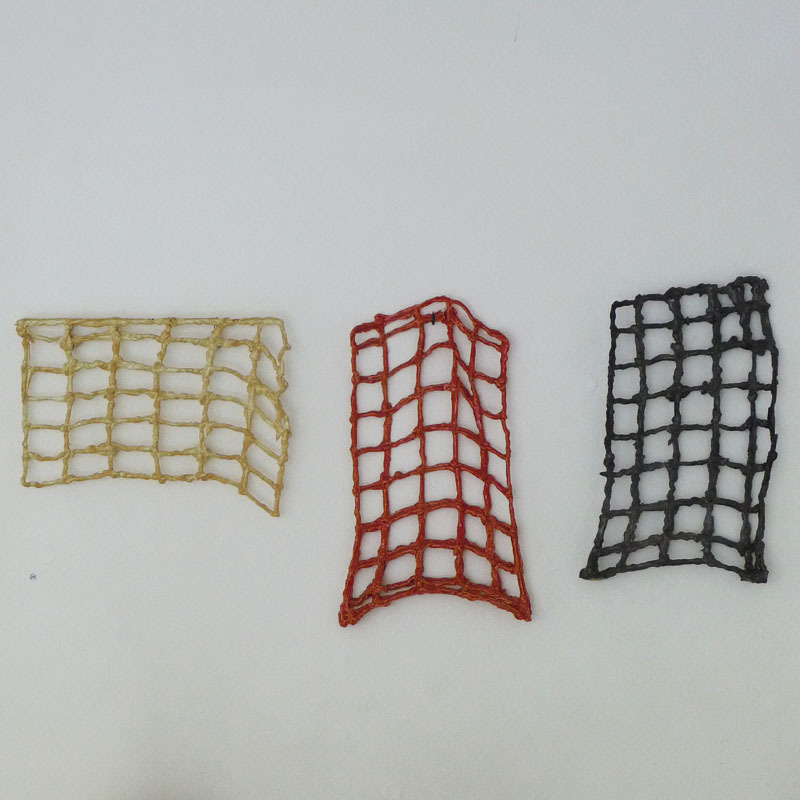 23 x 9 x 9 cm. I have chosen this piece, because it showed me a path to new form investigations. 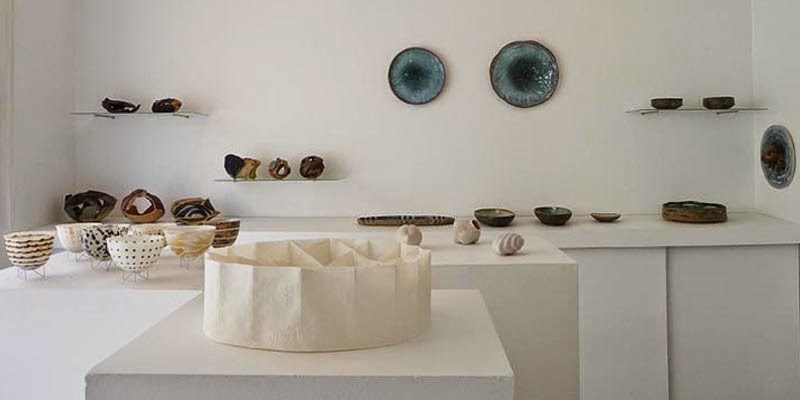 BALLAST: Nature - Kebnekajse - Arts Crafts Schools - Clay - Kähler - Harry Davis - Throwing - Mason Worker - Geology - Fulby - Machiko - Karnak - Kiln Building - Children - Zimbabwe - The Permanente - Swaziland - Bechyneè 68 - Cork - Porcelain - Jingdezhen - Salt Glaze - La Borne - Kalamata - Space - Aberystwyth - Keramisto - Novgorod - Lady Square - Tomastown - Korea - St.Sulpice - Kilkenny - Westerwald - Esfahan - Bamboo - Korea - South Africa - cobblestones - Potfest - CLAY. 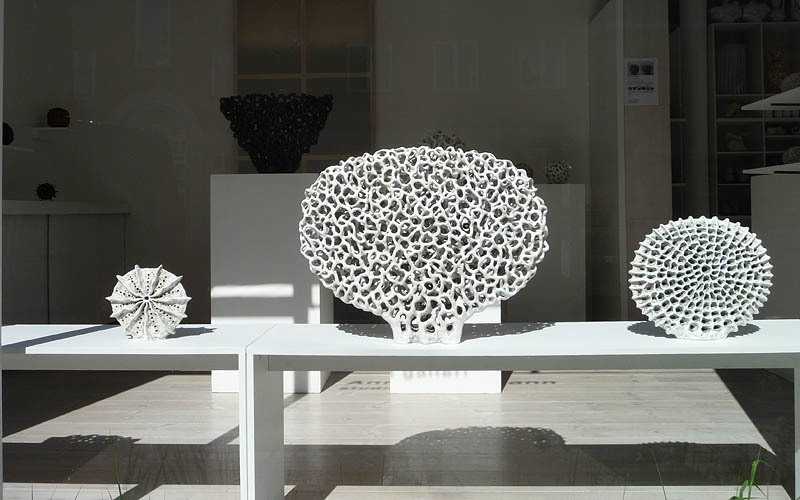 - by a Master "gemacht"
Organic cubic approach in the pieces, ReDesign, made of 'recycled' parts of own bowls. A strong primordial force, where connections of coincidence create the character. 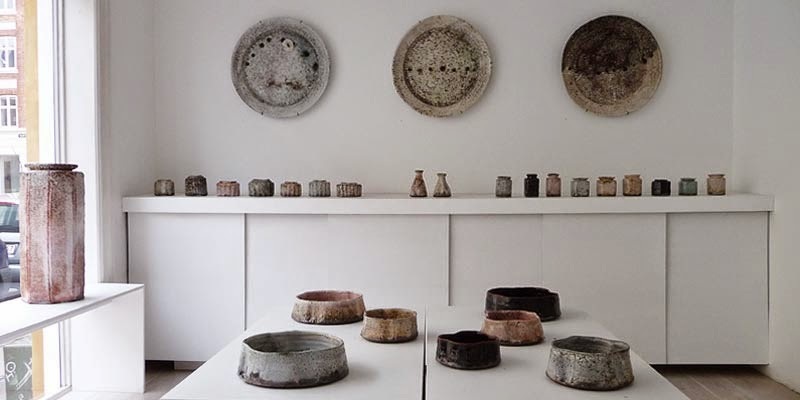 Fascination of materials and firing process. Geometry and nature in playful interaction. 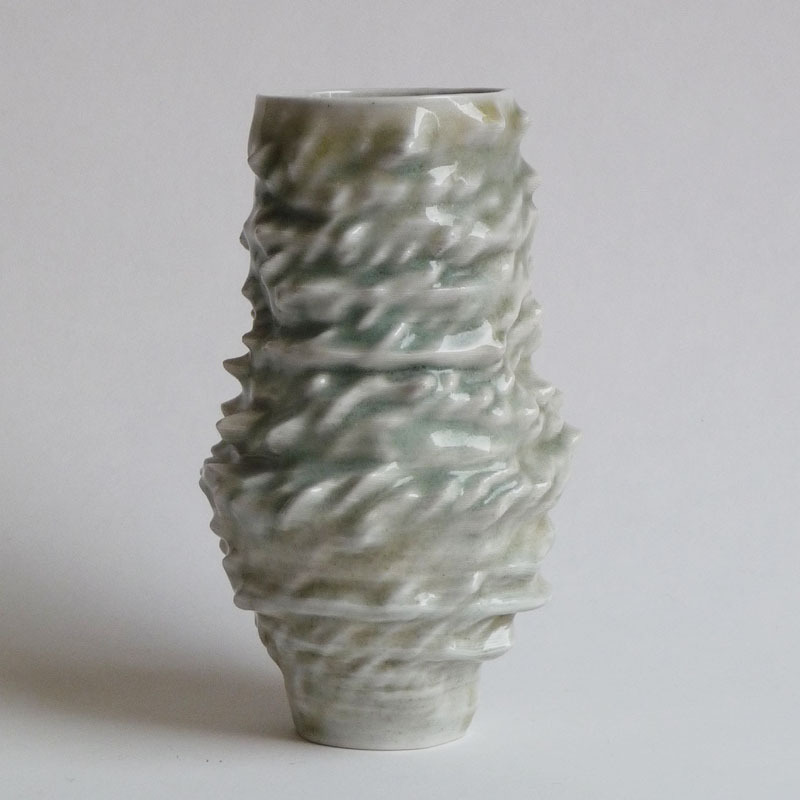 This little piece contains all the fine and special of porcelain. 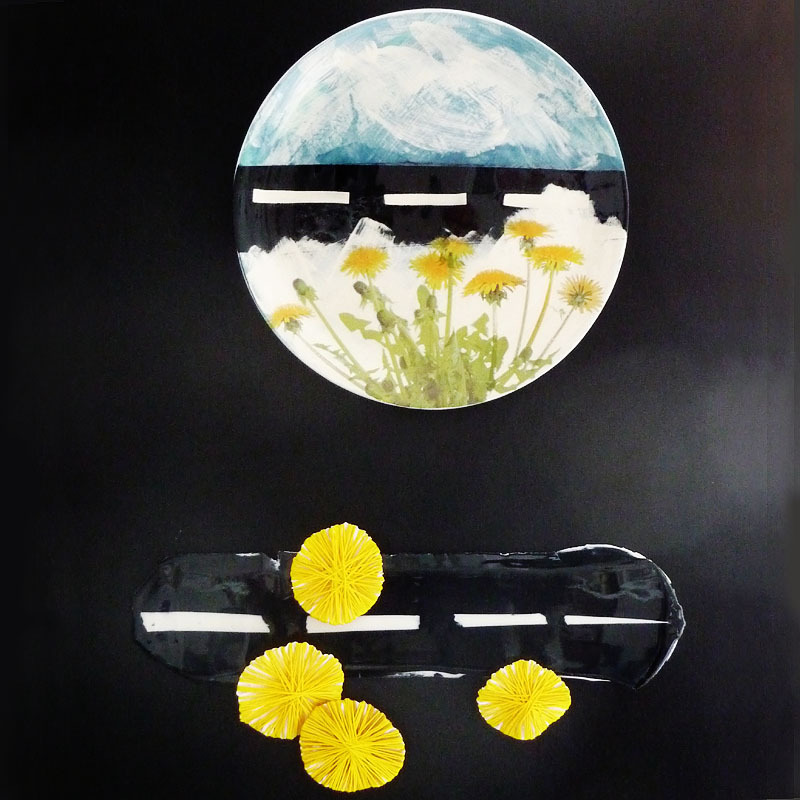 From the series "Underwater Flowers"
Cross-border material composition - oil/acrylic color on clay. The cocoon's colors are inspired by the fully developed butterfly or beetle. 10 x 21 x 21 cm. Suddenly and inexplicably, societies of bees become extinct: Colony Collapse Disorder. A specific explanation is not known. 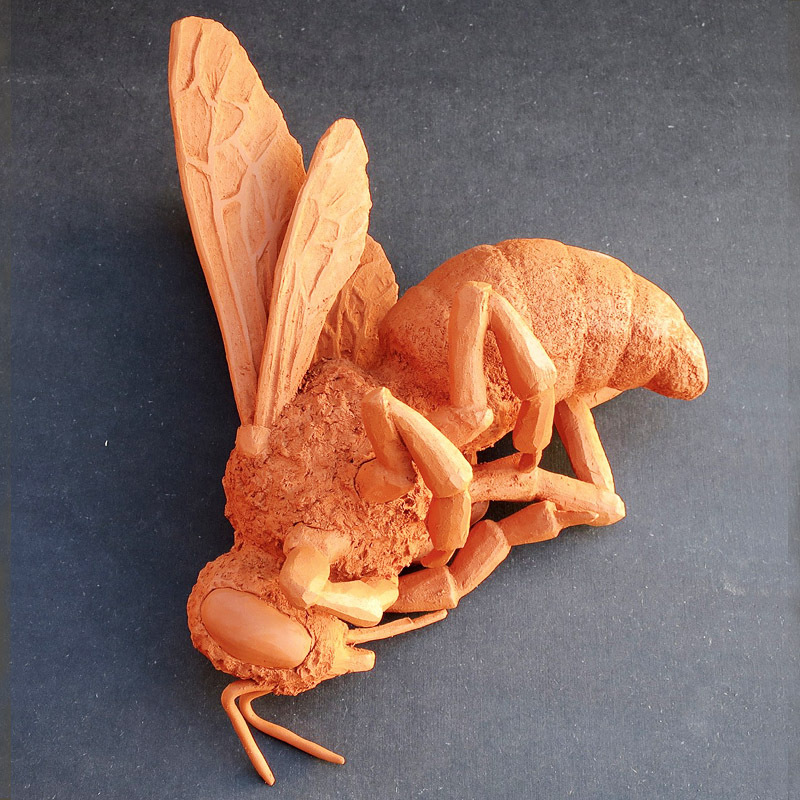 My modelling of dead bees are - in addition to working with the complex shape and surface, commenting on the prevailing hunt, there is in our society for optimizing yield and growth that affects the delicate balances in nature and may have fatal consequences. 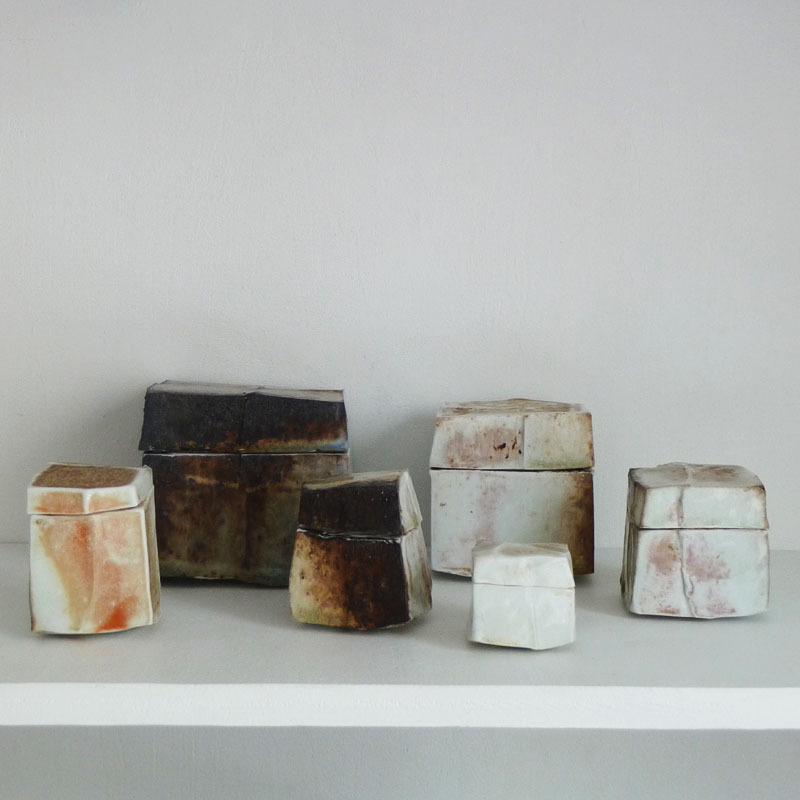 My fascination with material, texture and texture in clay and glaze. The tactile, combinations. 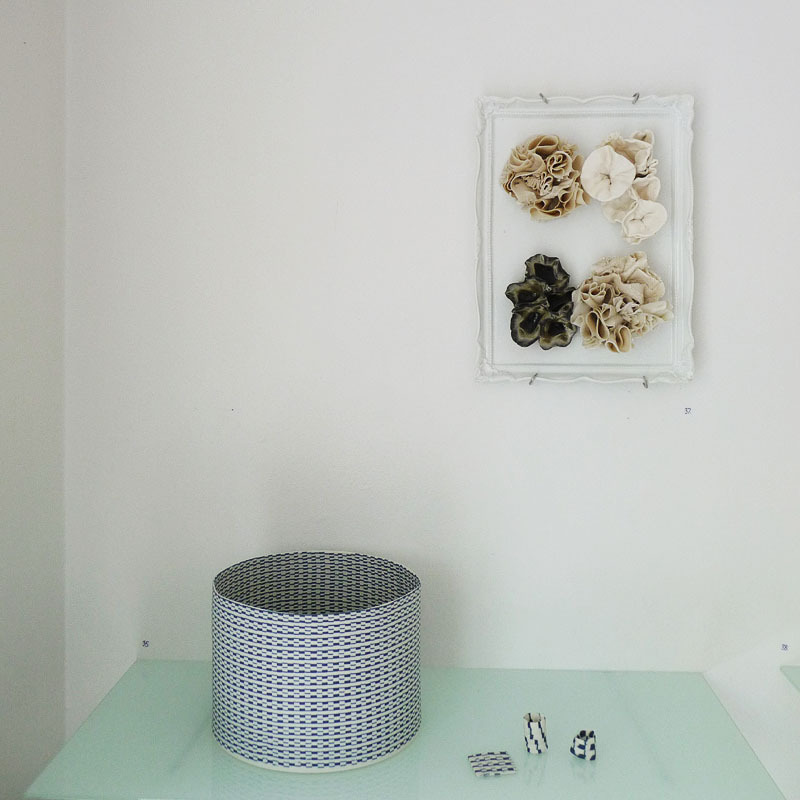 Showing that small samples are significant, they are put in a "gold frame" of porcelain. Four small miniatures gathered in one Masterpiece. Diversity has always been a topic for me. 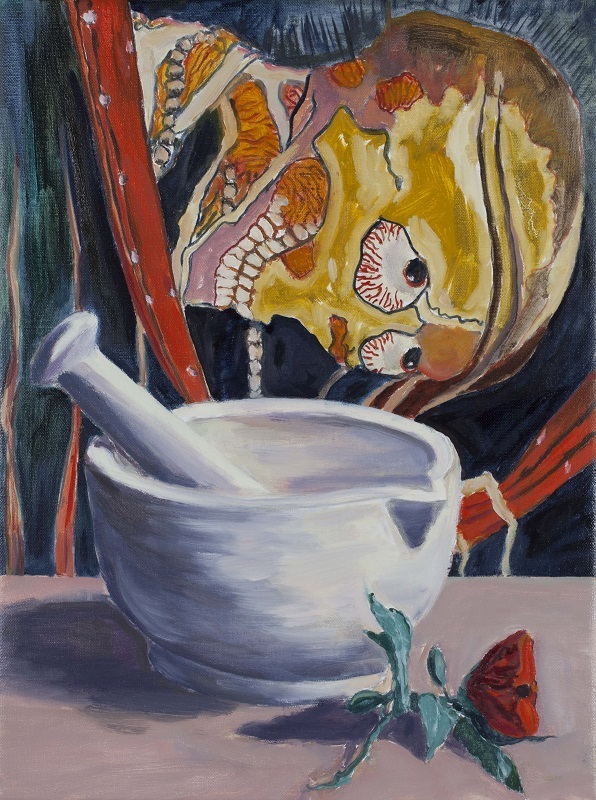 Therefore, as a consequence, I painted a Nature Morte. 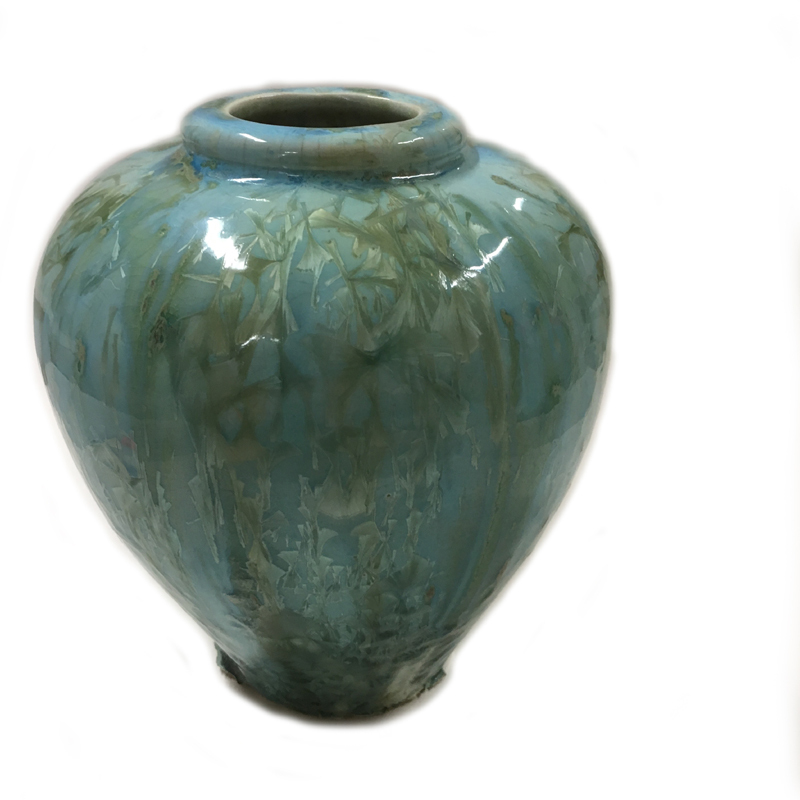 My masterpiece is a vase with crystal glaze. It's one of the samples I can not sell. It is wild, reminding me of sea bed with seaweed a warm summer day in an adventurous lake. Often admired in my studio, especially by colleagues. 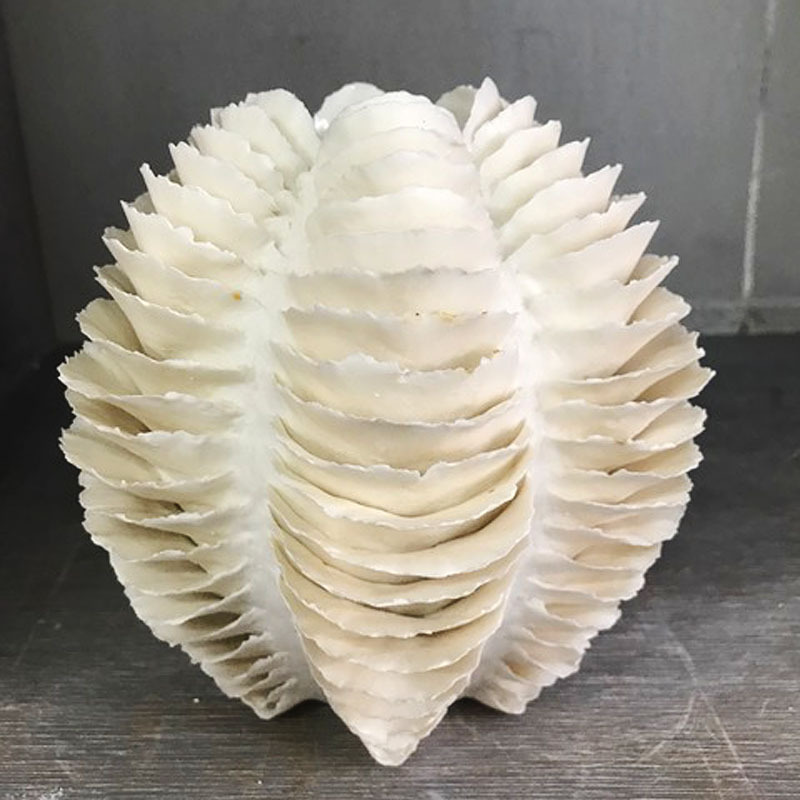 The vase was an experiment that ended up perfect. 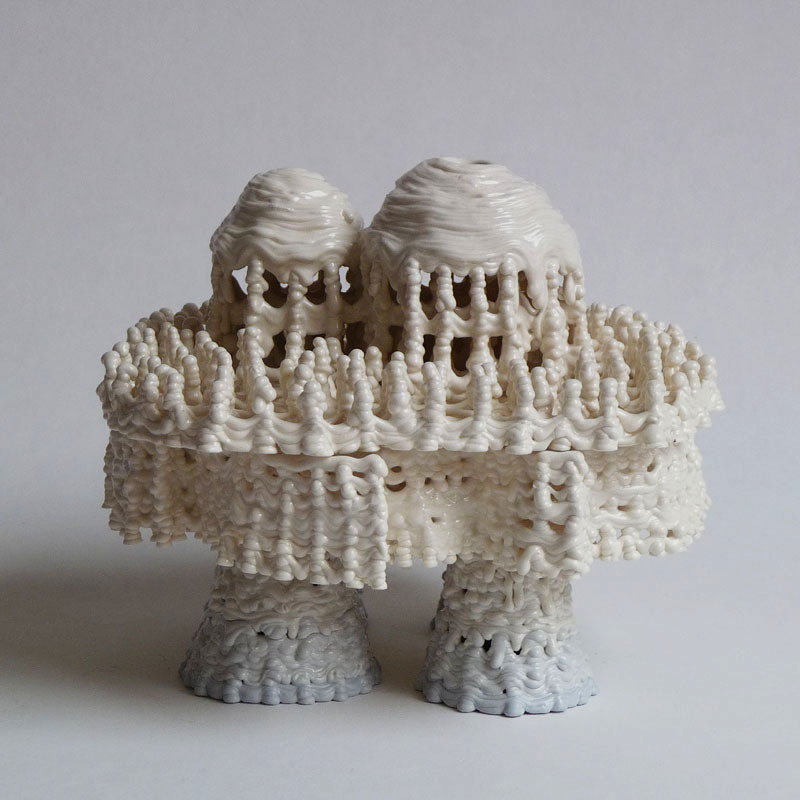 Ideally and technically, everything are transformed, from sound and other natural phenomena to digital codes, which are then 3D-printed directly of porcelain. Imaginary town – illusion of the future or ruins of the past. An idea for a possible future architectural design located elsewhere in our galaxy or maybe an ancient ruin complexes. 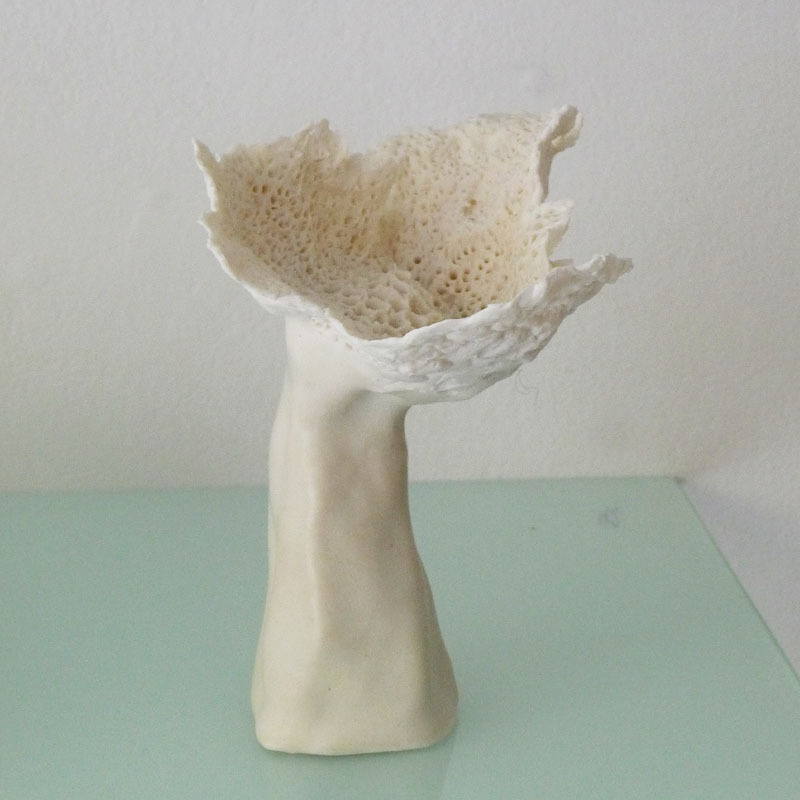 In my studies of digital and bodily 3d print with porcelain, I am particularly pleased with how this little sculpture fell out. The lidded jars always fall out differently. They become little personalities for me, boosting my imagination. 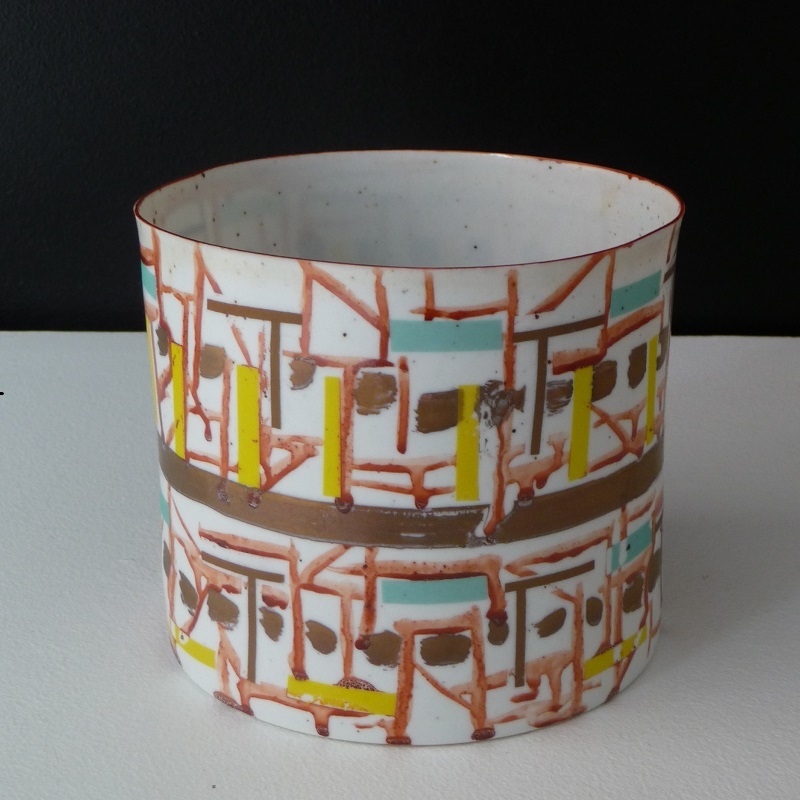 I consider this piece a signature piece for me, as the cylinder, cut ornaments and working with glazes and firing constantly intrigues me. My images are everyday reflections, thoughts and conversations. Words, phrases, metaphors, sound, clear and muddled impressions, distinct stories - and feelings. 1. Three travel sketches from Tunesia, 1971. KURT WEISER (b. 1950, USA) was educated at the Interlochen Arts Academy, MI, 1967-69; Kansas City Art Institute, MO, BFA 1972; University of Michigan, Ann Arbor, MI, MFA 1976. He lives and has his studio in Arizona and Montana, USA. 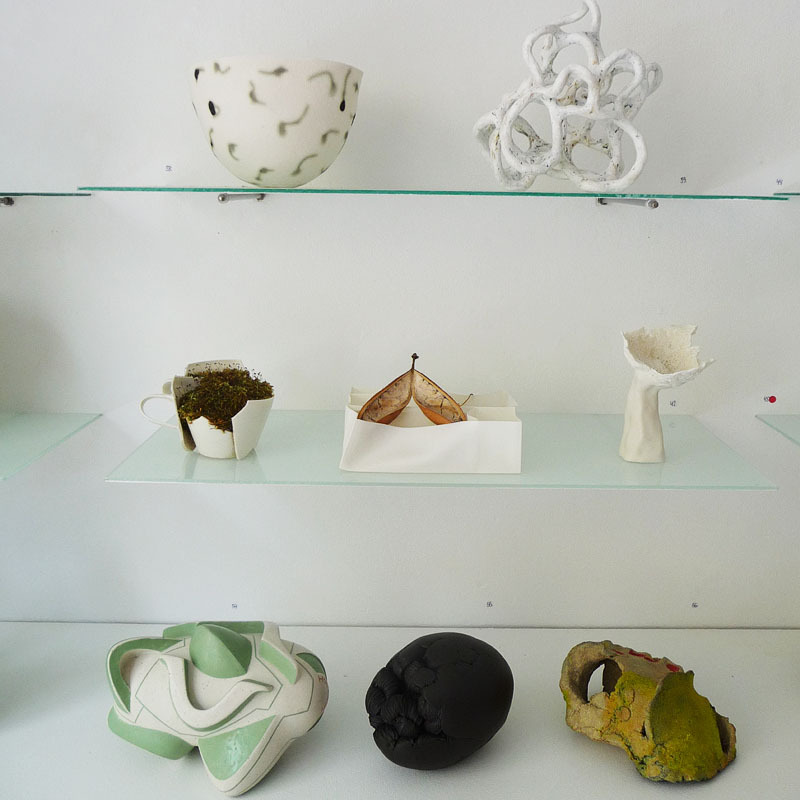 COLLECTIONS V&A Museum; Los Angeles Museum of Art; Carnegie Museum of Art; Museum of Contemporary Ceramics, Shigaraki, Japan; Mint Museum of Craft and Design; Racine Art Museum, National Museum of History, Taipei. 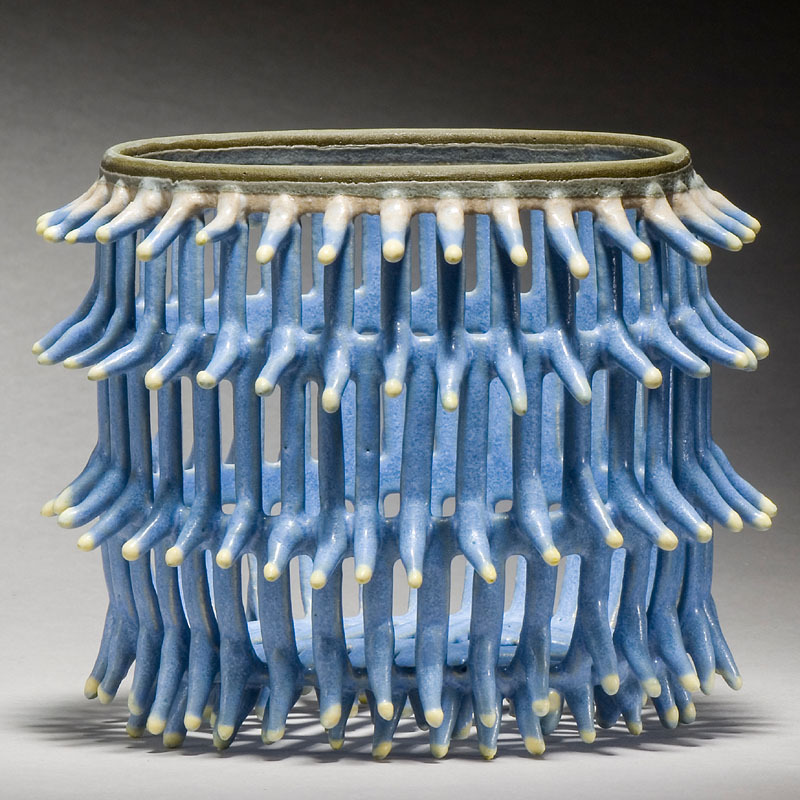 AWARDS Aileen Osborn Webb National Artist Award, 2003; American Craft Council College of Fellows, 2003; Arizona Commission on the Arts, Artist Fellowship, 1999; National Endowment for the Arts, Artist Fellowship, 1992, 89. USA Artists Fellowship 2012. 1988 Professor, Arizona State University, currently Regents Professor. 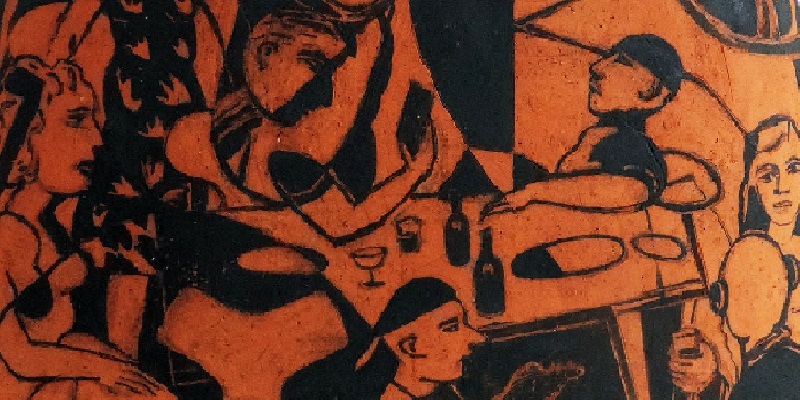 Exhibitions in Ann Linnemann Gallery 2016,10. 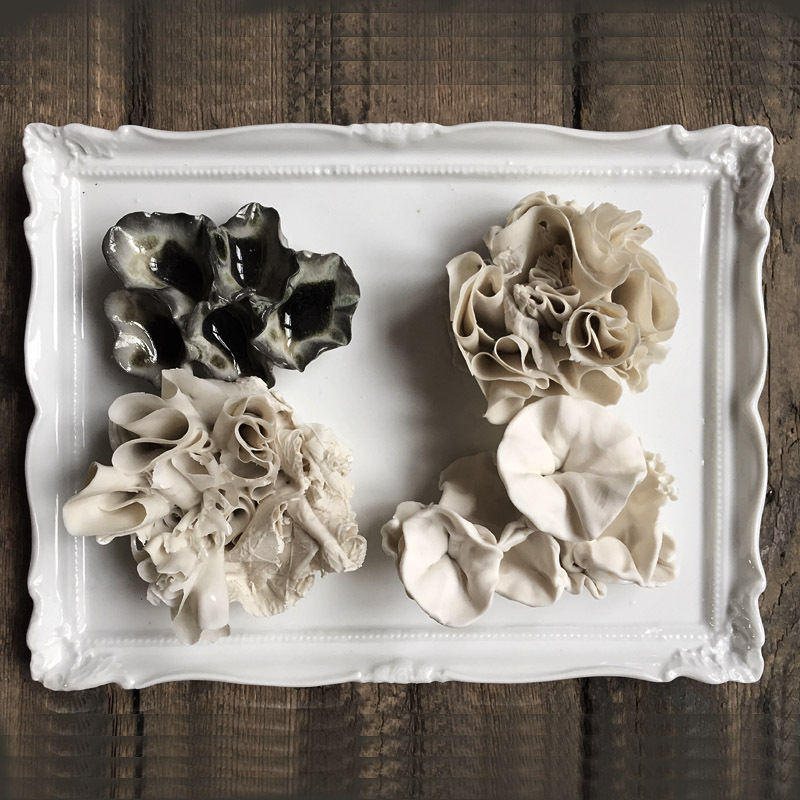 With simple grips, I explore the clay's expressions in a partially controlled process that also involves the qualities of the coincidences. 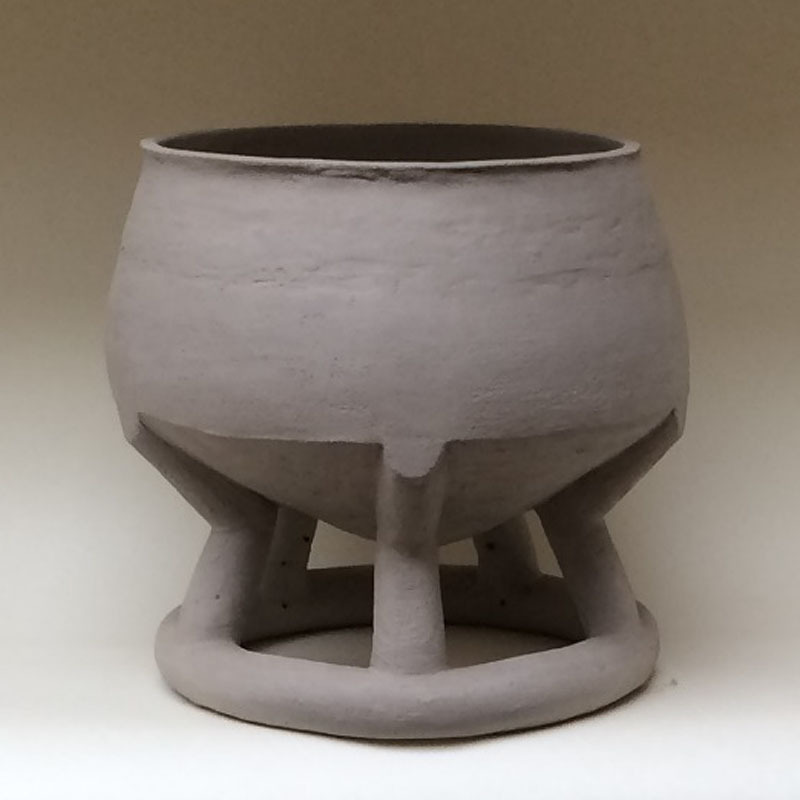 Examination of supporting and lifting a dish or bowl up so that the structure becomes a visible and integral part of the whole. 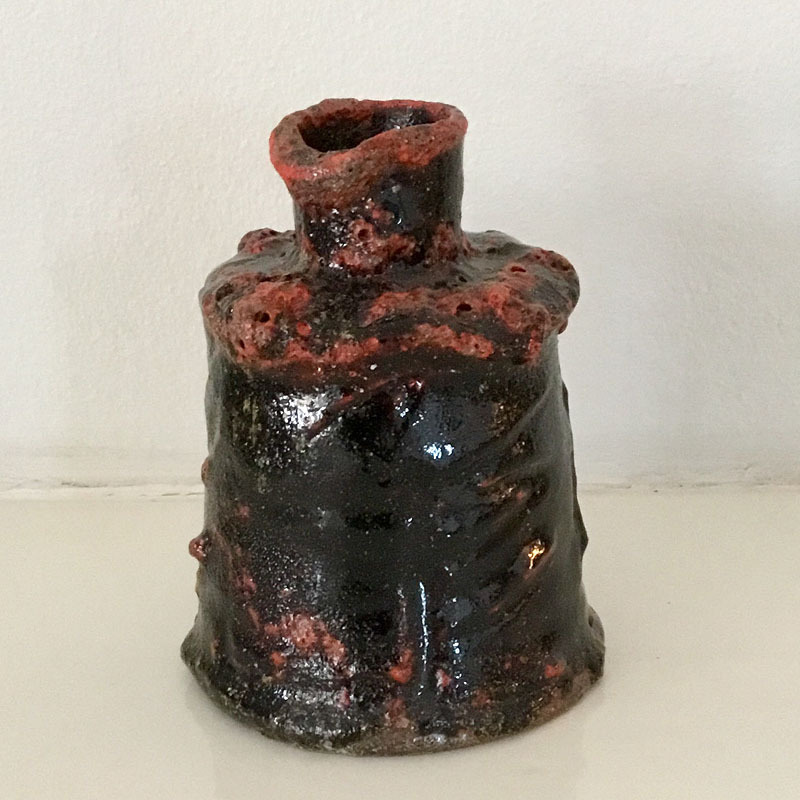 The southern European pharmacy jar, albarello, has for many years been the basis for my jars, together with structural relief patterns and dusty liquid glaze deposits. Currently I am occupied making pedestals for my works. LIS EHRENREICH (b. 1953) was educated at the Jutland Art Academy, Aarhus 1976-81 and has since then had her studio in Aarhus. 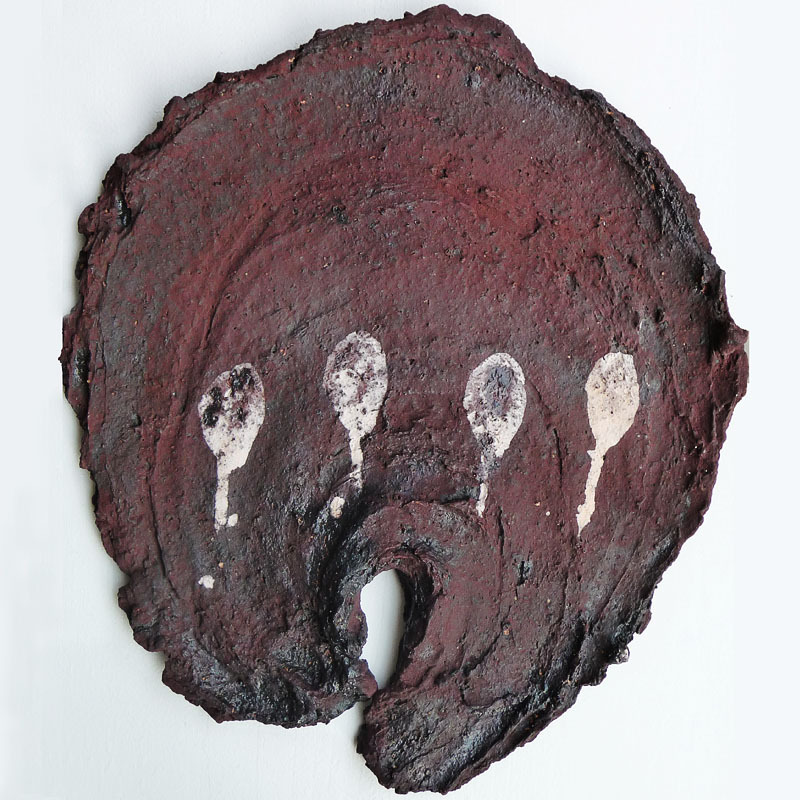 EXHIBITIONS in Danish and International Galleries, Gallerie Besson, London and Kaolin, Stockholm. REPRESENTED at museums in Europe and USA. 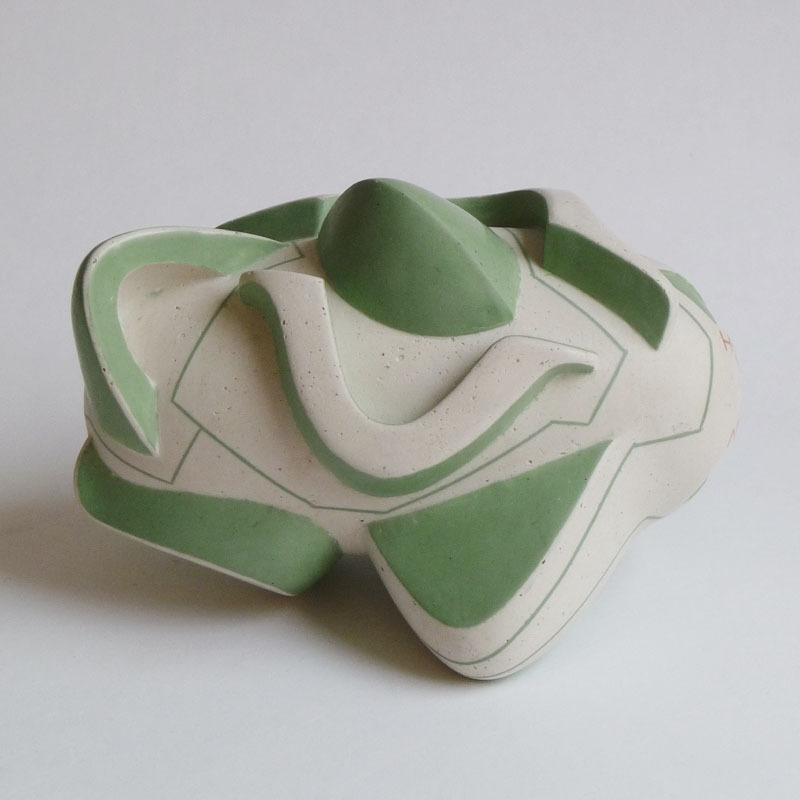 I chose this piece because it is a new area for me to work with, - and here the choice of colours, motives and relationship with the oval form goes into a unit. 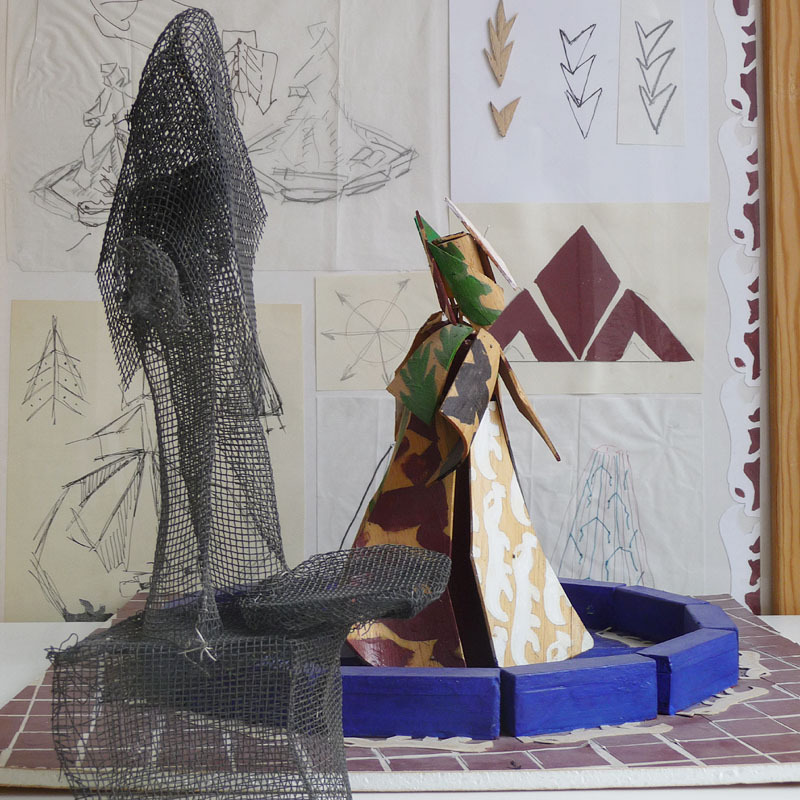 The challenge of craftsmanship to be in the spirit of presence. 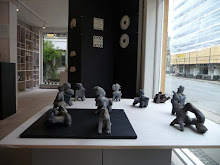 Inspired by the cultural city of Aarhus and the subject Danish Crafts and Design Association discussed in connection with the events. Dette værk er opstået ved en tilfældighed. I was sitting a long time with a bigger work that did not work out, at last I realized it would not succeed. I ended up having to cut it and thus created this work. Somehow it got a certain bias, which I think is really nice. Porcelain, slap technique, inlaid colored porcelain. Polyrytm is part of "Polyrytmic style exercises" where I work systematically with repetition and rhythm in a complex combination of different lines. The small samples show that the applied stripes have different widths in the front and the back, and that these can be used to create pattern. I was born and raised at the moor, the flat landscape that seems infinite. The eyes look out and over it. To me it's a poetic sight. The lean earth where little humble things grow up bearing a stormy life and power in itself. 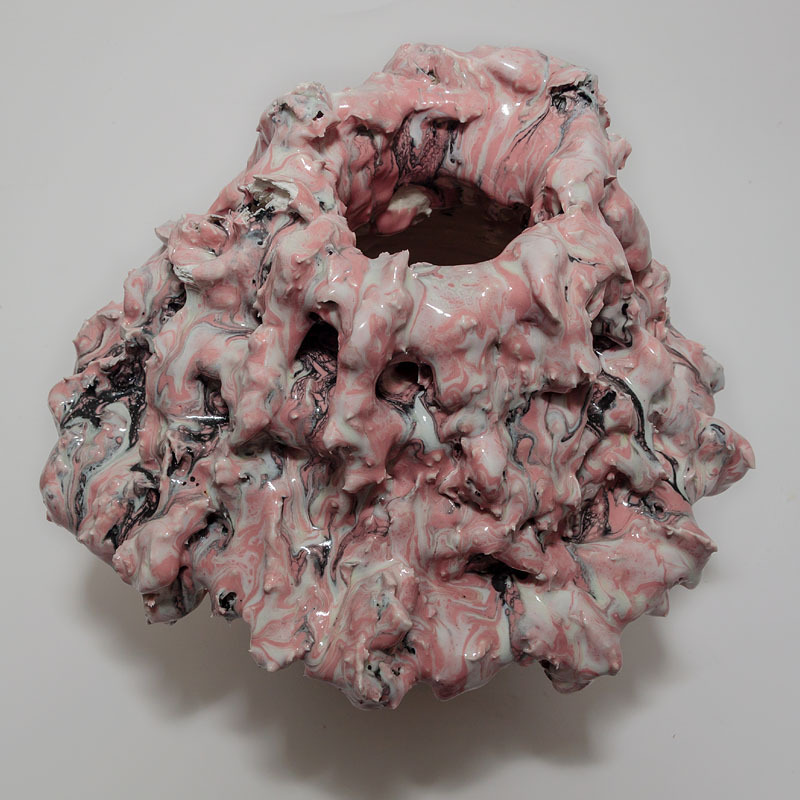 An experimental work of glaze and the immediate expression. I have done this work at the design school, it felt like magic. Now it's ready to be seen by others. 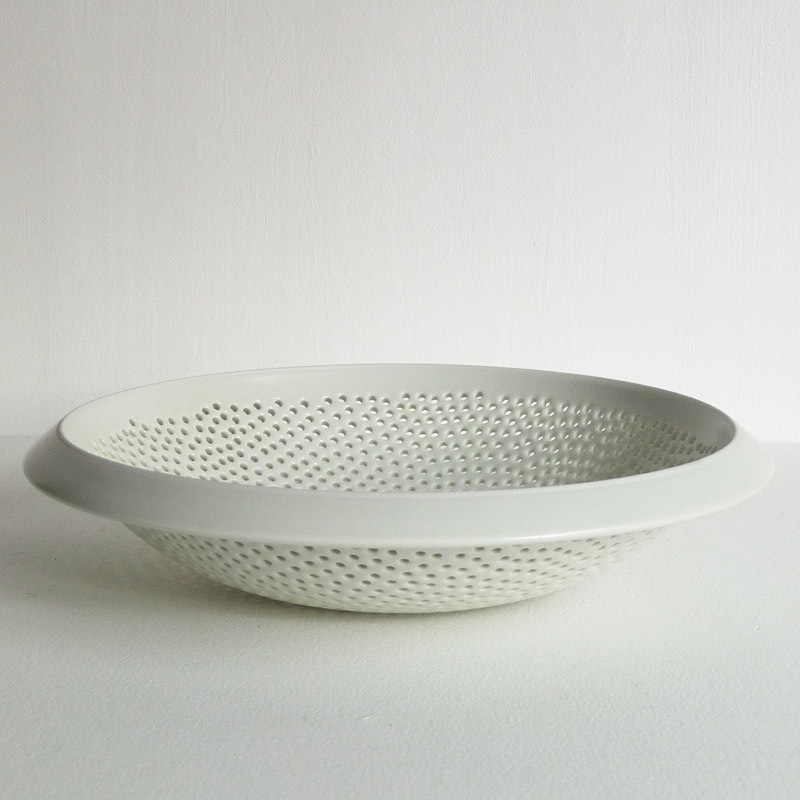 When does an object go from being sketch to become a definitive piece? LOUISE SIDELMANN (b. 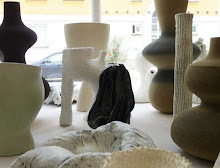 1976, DK) was educated at the Design School Kolding 2002-07, Pre-School Euc Haslev 2000-01, Aarhus Art Academy 1998-99. EXHIBITIONS Ann Linnemann Galleri: ´World-Cup´ 2018, ´Dialogue´ 2017, ´FormSprog-TankeSpind´ 2016. 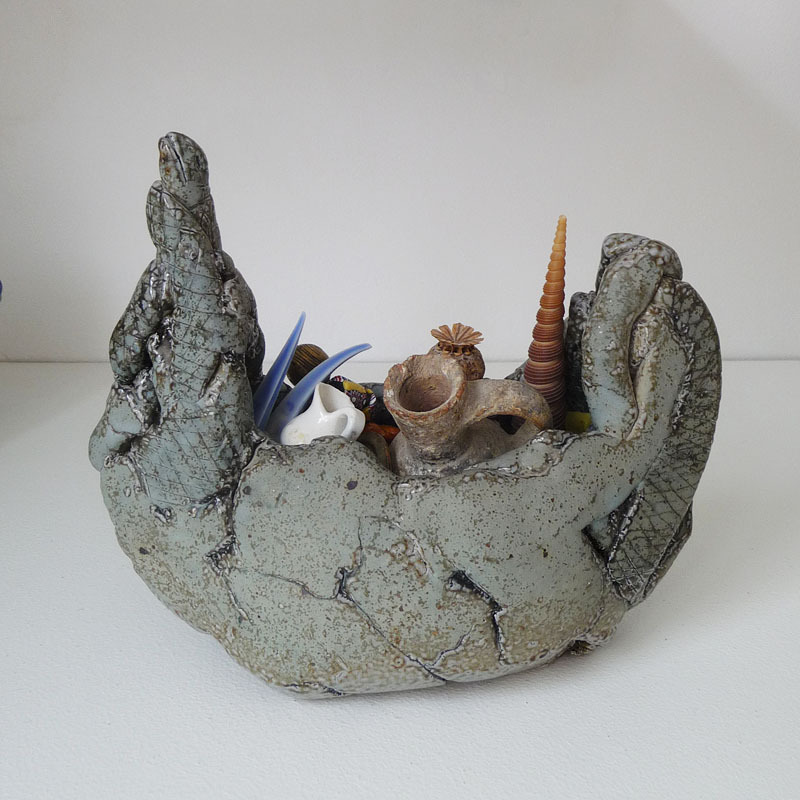 ´Landskaber` Kammer Gallery Lemvig 2016. Officinet Copenhagen ´Til ingen verdens nytte? 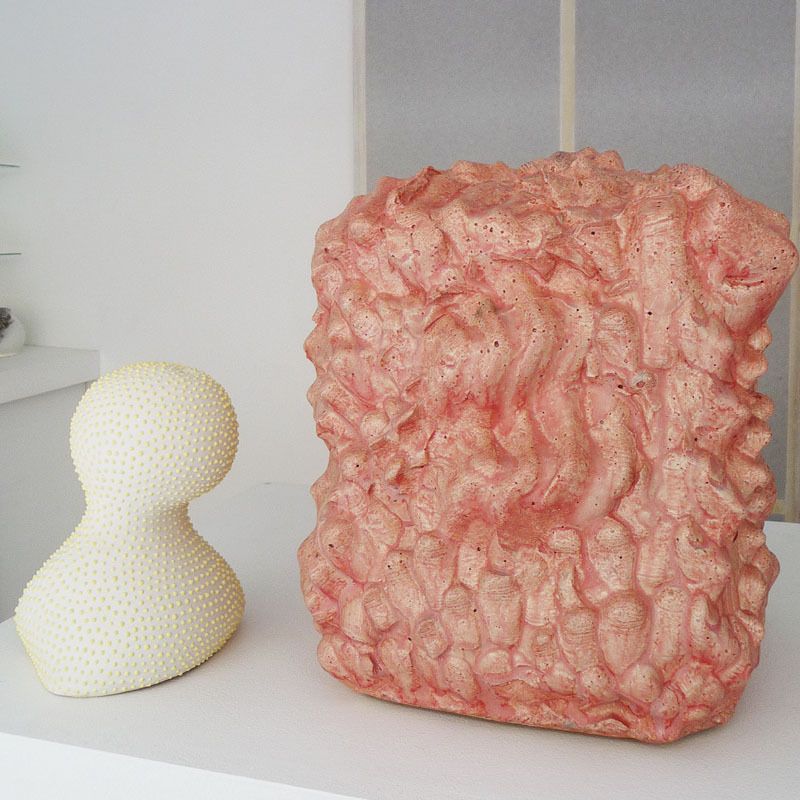 ´curated by Lars Kærulf Møller 2014 and ´Illusion´2013. ´Sikken Fest´, Møstings Hus 2012. 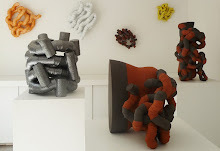 ´Form Art´, Glinde, Germany 2011. 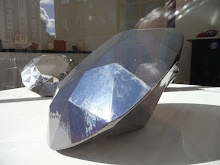 ´Limfjordens efterårsudstilling, Gimsinghoved; ´Forårsudstillingen´, Charlottenborg 2009. `Ler08´,SAK, Svendborg. 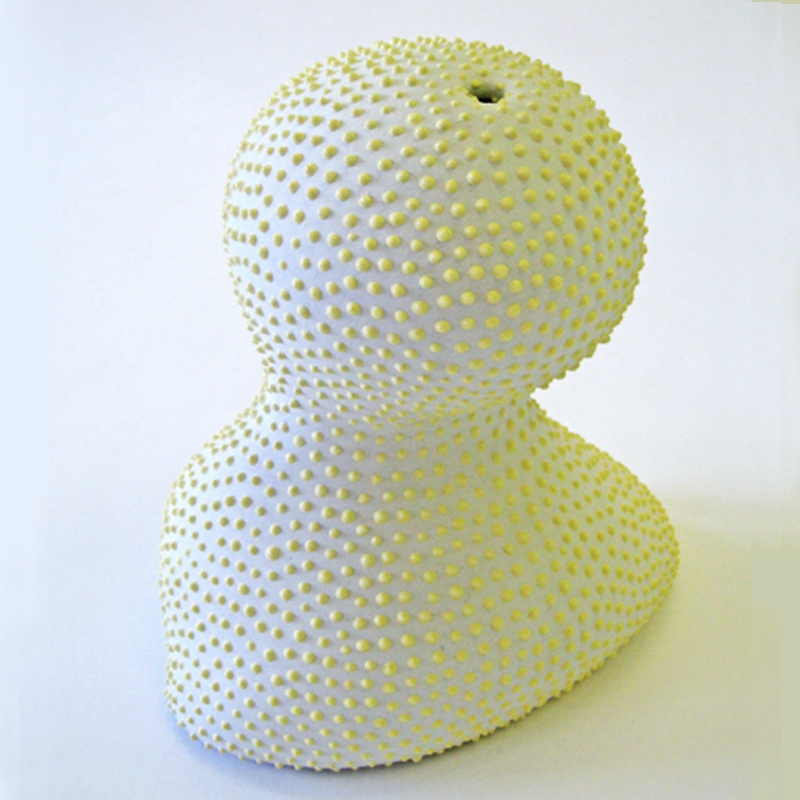 ´Projekt netværk´, Danmarks Keramikmuseum CLAY 2008. 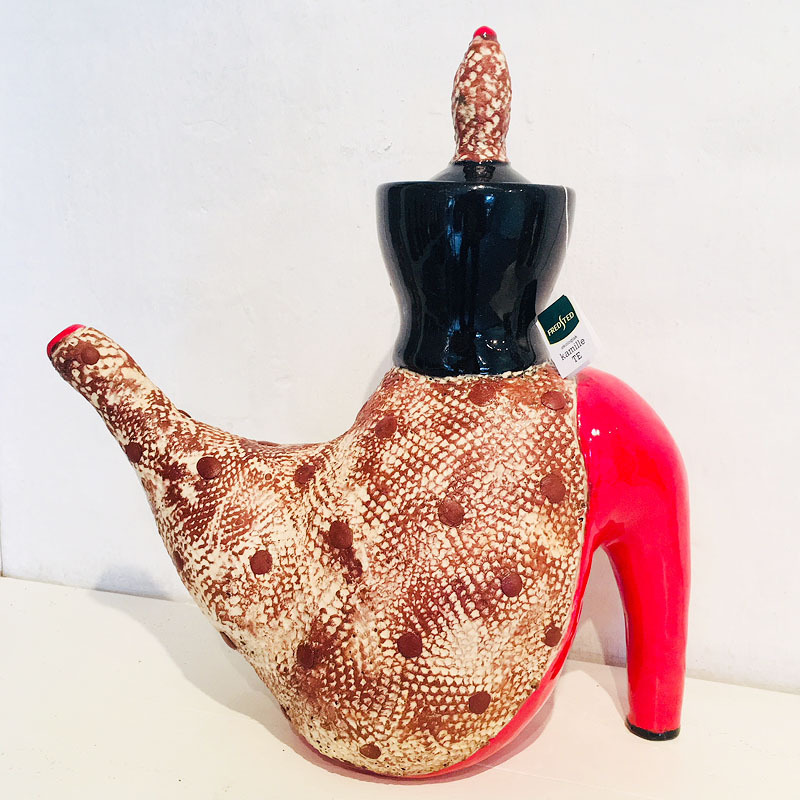 The teapot is a symbiotic relationship between free and playful, but at the same time leans up of the good and classic workmanship. - And then I'd like to be able to walk in stilettos .. I have chosen this piece because it challenged me in a new way. A new combination of black and brown. Exploring the architectural space in conjunction with the spacious, poetic narrative and pure geometric form. 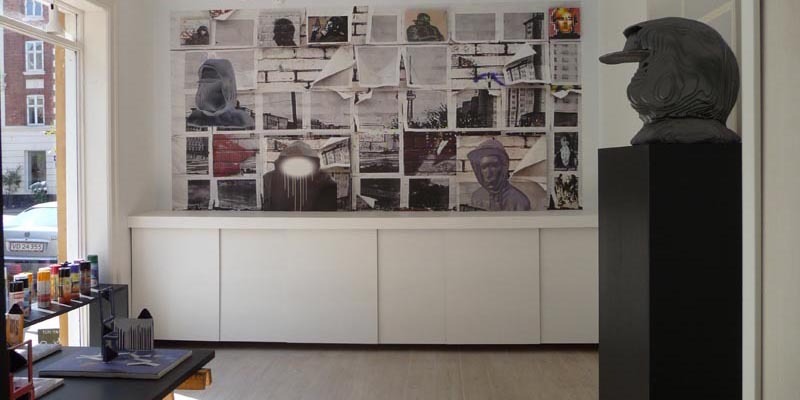 References to cultural experience, urban communities and life forms, abstract visions. METTE-MARIE ØRSTED (b. 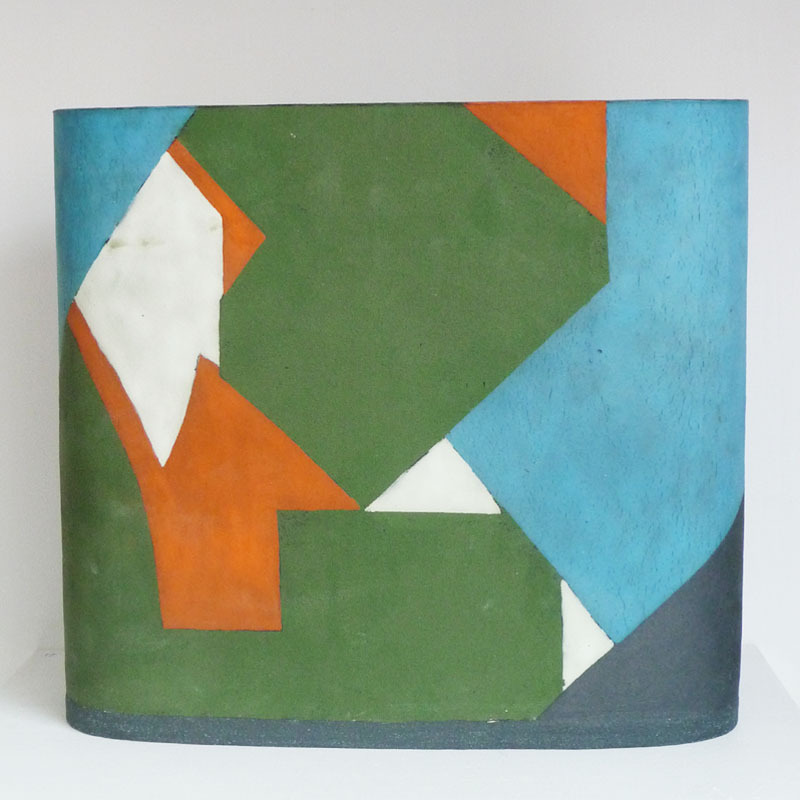 1952, DK) was educated at the Design School Copenhagen (KADK) 1973-77. 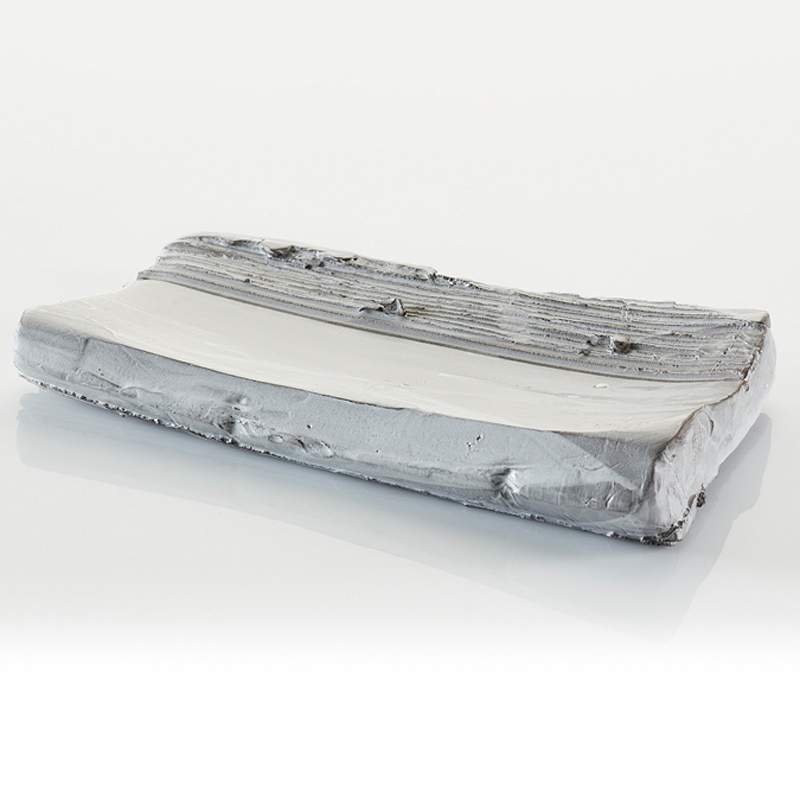 EXHIBITIONS Ceramic Concretion Ann Linnemann Gallery 2013; Butik for Borddækning, Copenhagen 2010, 2008; Gallery Pagter, Kolding 2007; Kander klippet med en saks, Gallery Nørby 2005. Biennial for Arts, Crafts and Design 2007,02, Trapholt and Koldinghus; Design Museum Denmark. 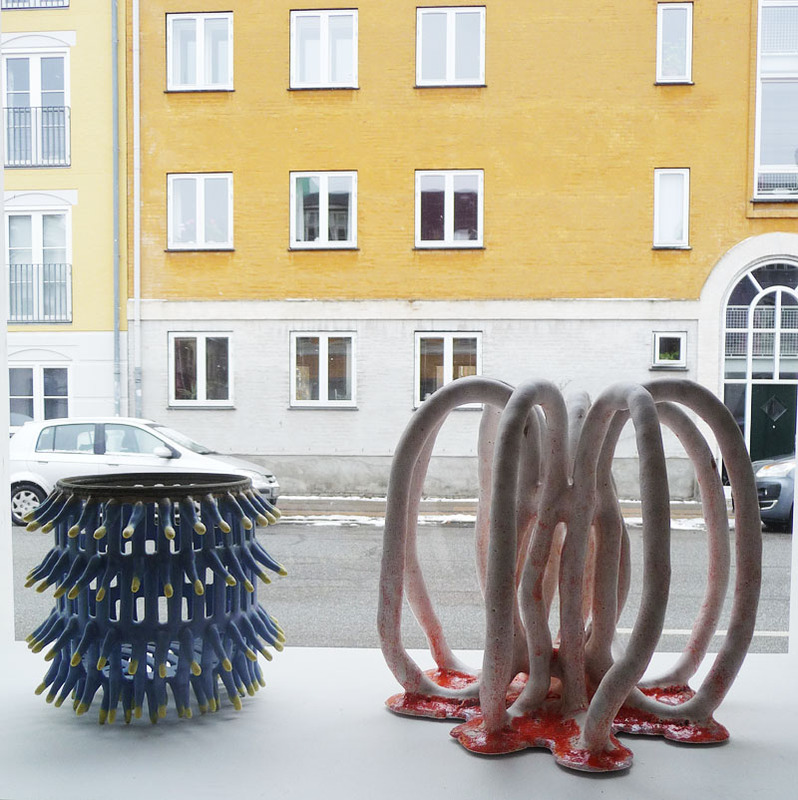 AWARDS Danish Arts Foundation, Gertrud Vasegård Award, Bergiafonden, Nordea Danmark Fonden, Danmarks Nationalbank's Anniversary Foundation, Danish Ceramic Triennial Award. Own studio since 1990. 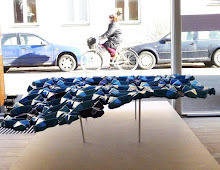 Member of the Danish Arts, Crafts and Design Association. 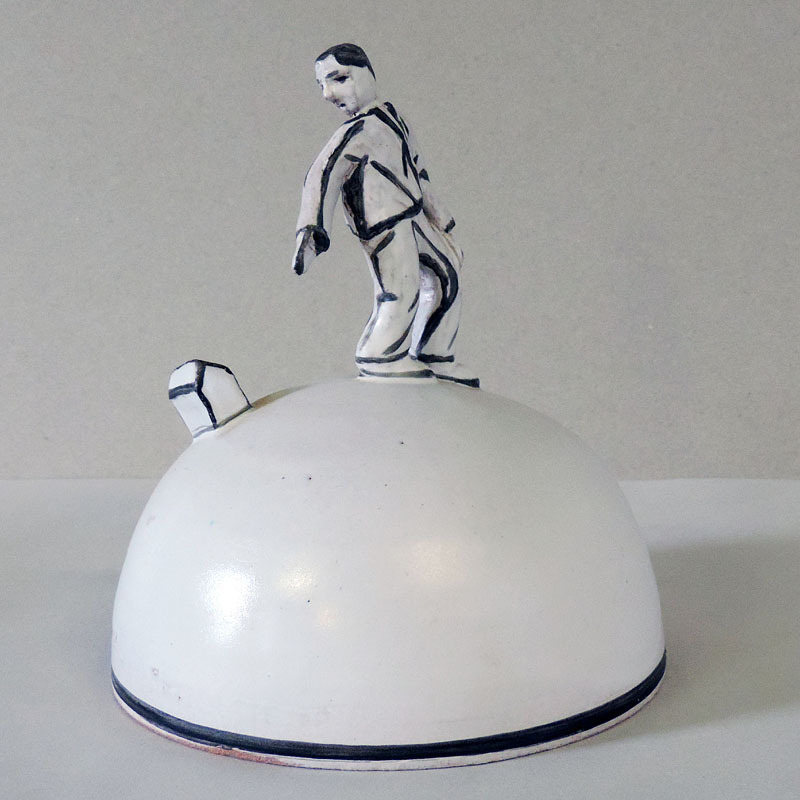 A small outline of a rotated figure which is at a standstill, with three supporters. 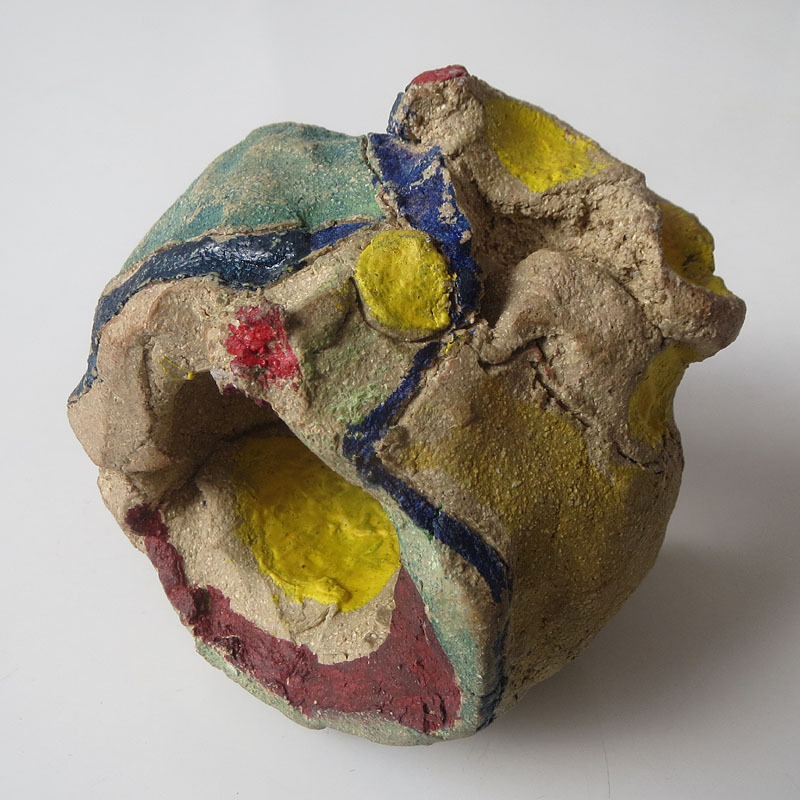 The idea is that the small clay sketch, maybe one day may be the pathway to the masterpiece. I'm always on my way! When it is not a sketch anymore, is it then a masterpiece? Is it a masterpiece when it dares to stand all alone in the world? 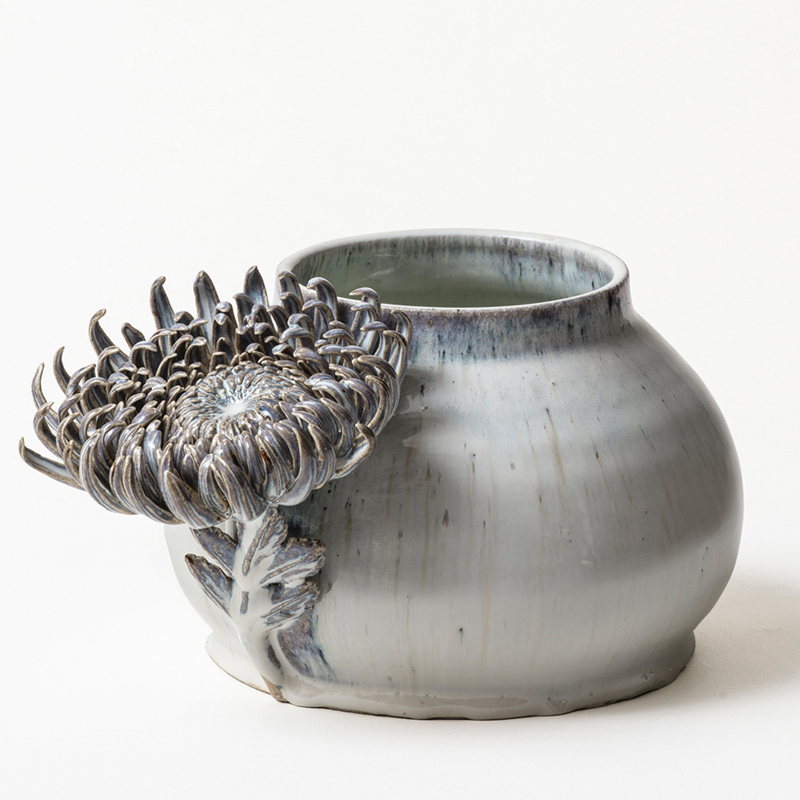 The jar, the flower, the glaze - a contribution from each of three ceramic artists, assembled in one piece. 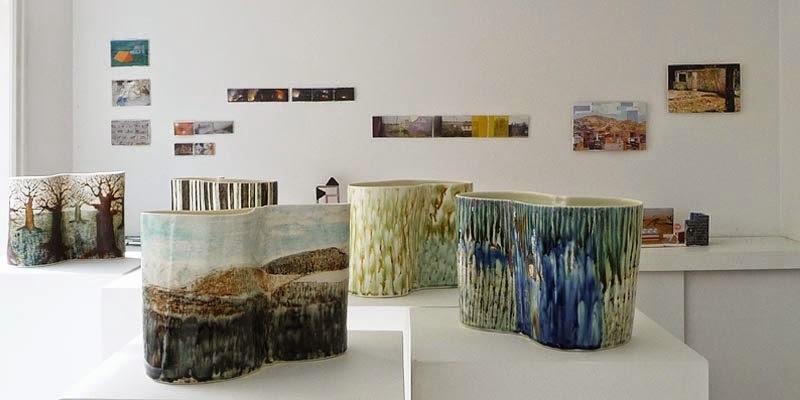 Tektonika is inspired by the way the tectonic plates push towards each other through the surface of the earth. 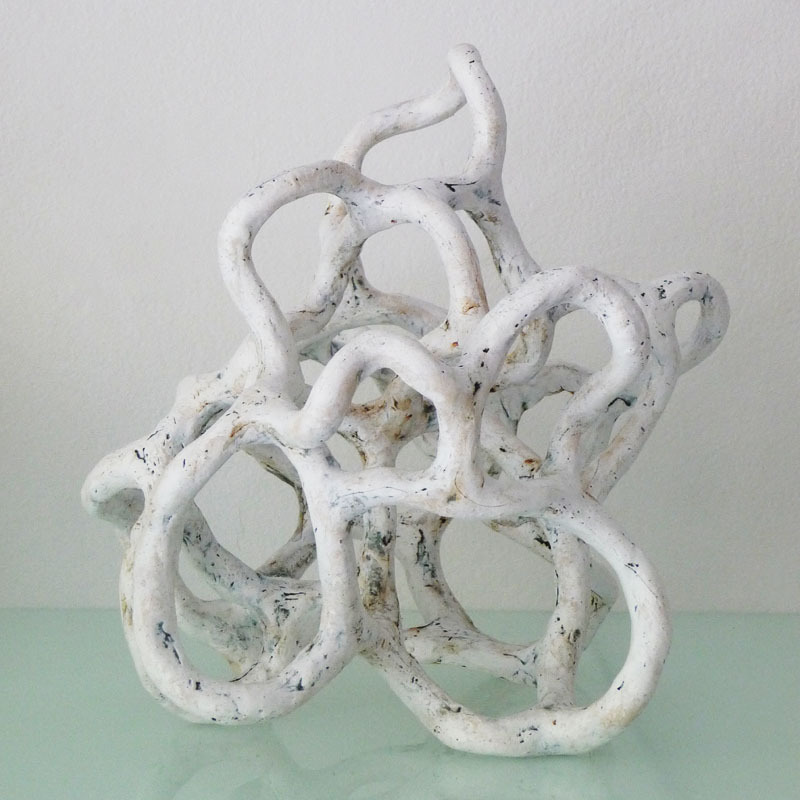 At the same time there is a meeting between unordered coarse surfaces and the fine twisted porcelain. 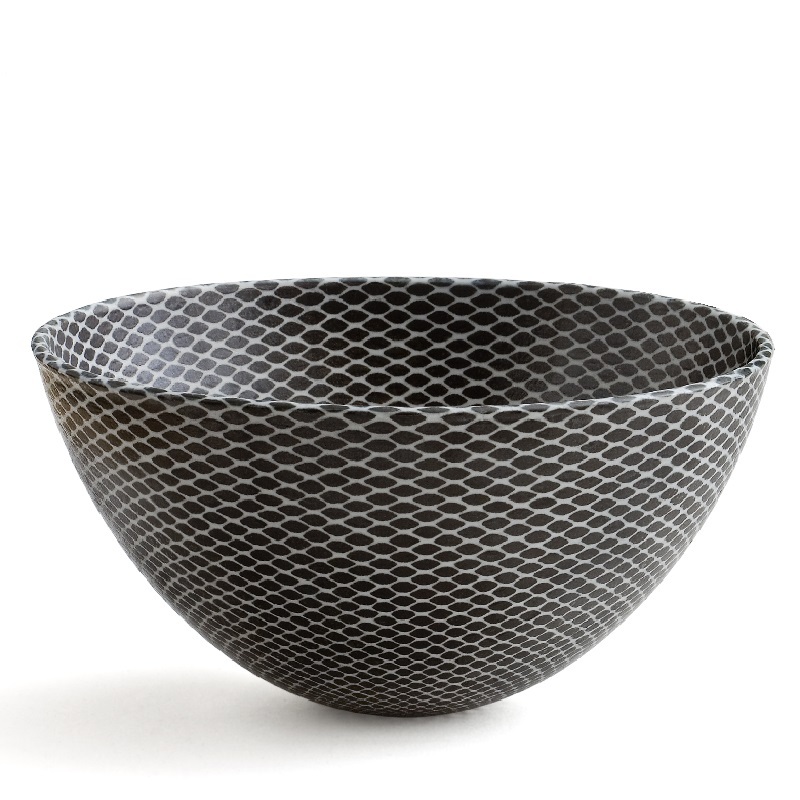 I work with the contrast between the perfect and the imperfect, on the edge of when the shape is resolved. 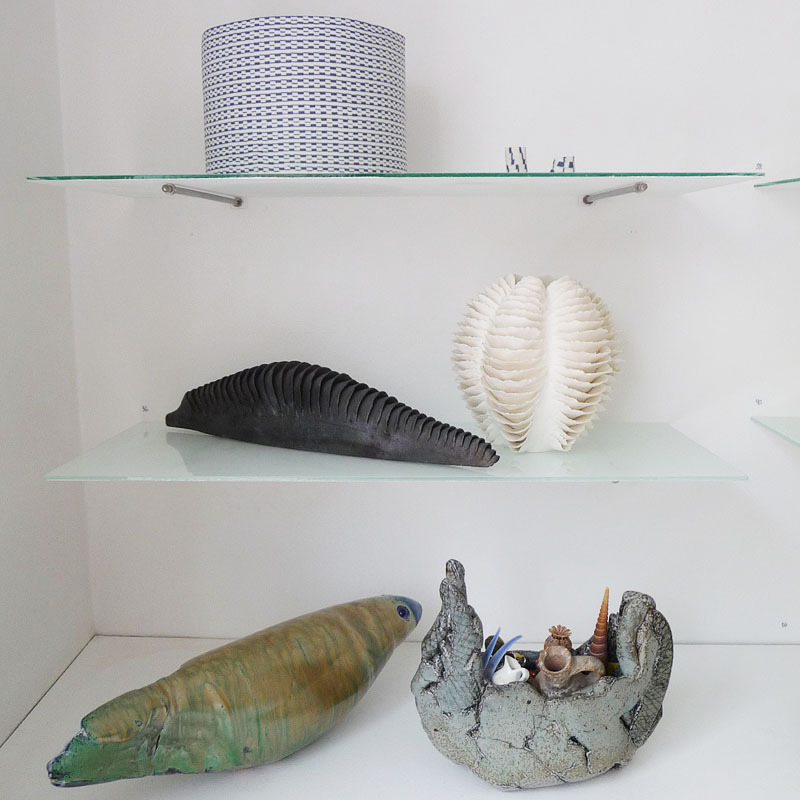 The work brings together several themes for my work. 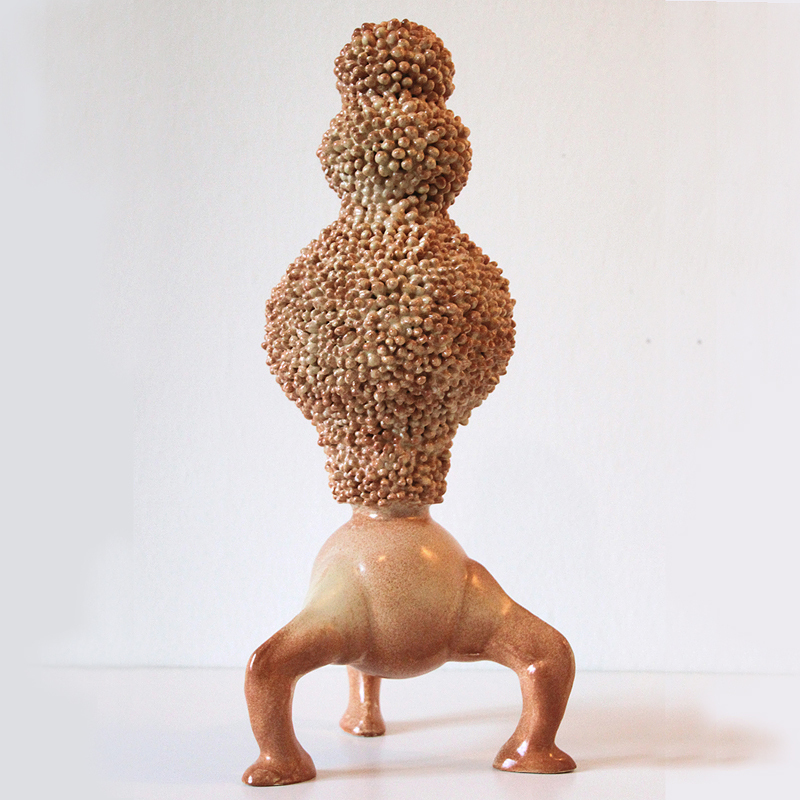 Formatus Arabiae is balancing, bodily and has references to formly archetypes. Peder Rasmussen - The boy who left home. 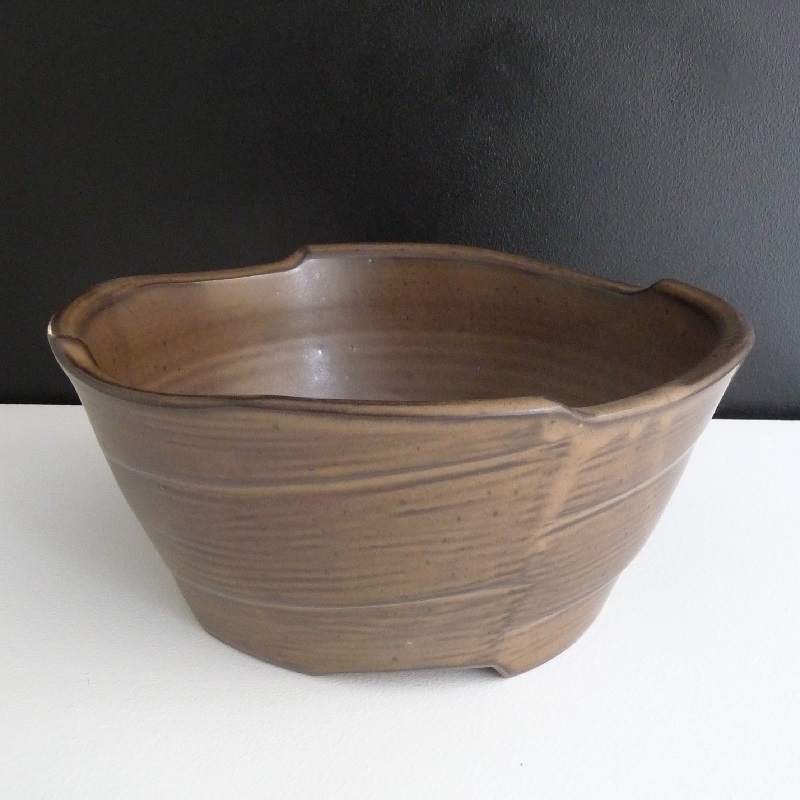 Earthenware with majolika glaze and black glaze. 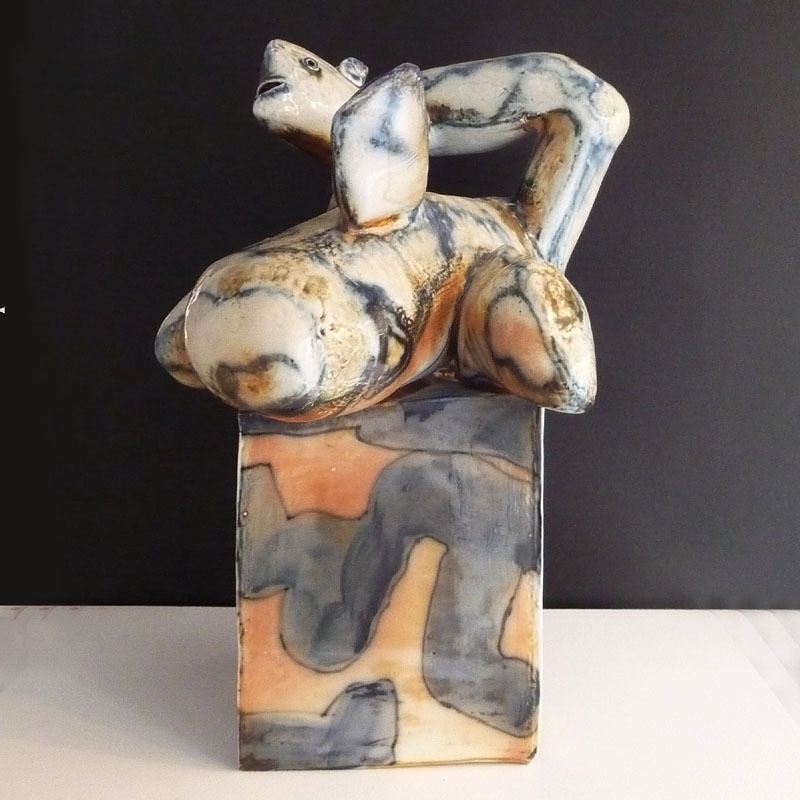 The work "Arousal" represents a point in my work, where my background as a ceramicist and my fascination with the sculpture as a form of expression unite in a complexity that I then sought. 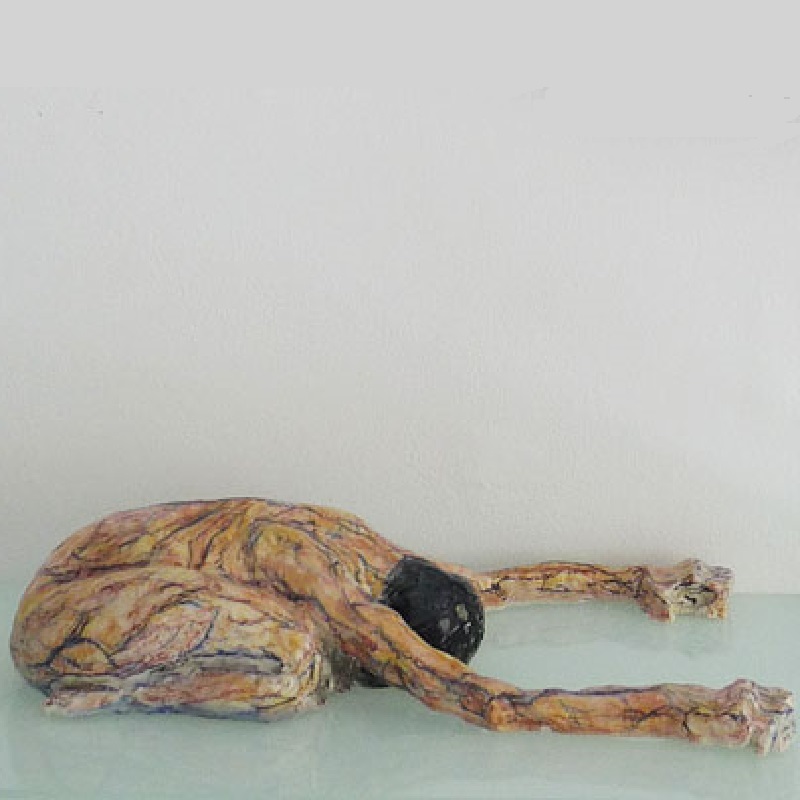 Sandra Davolio - In the beginning was clay..
My first attempt with "winged" works. 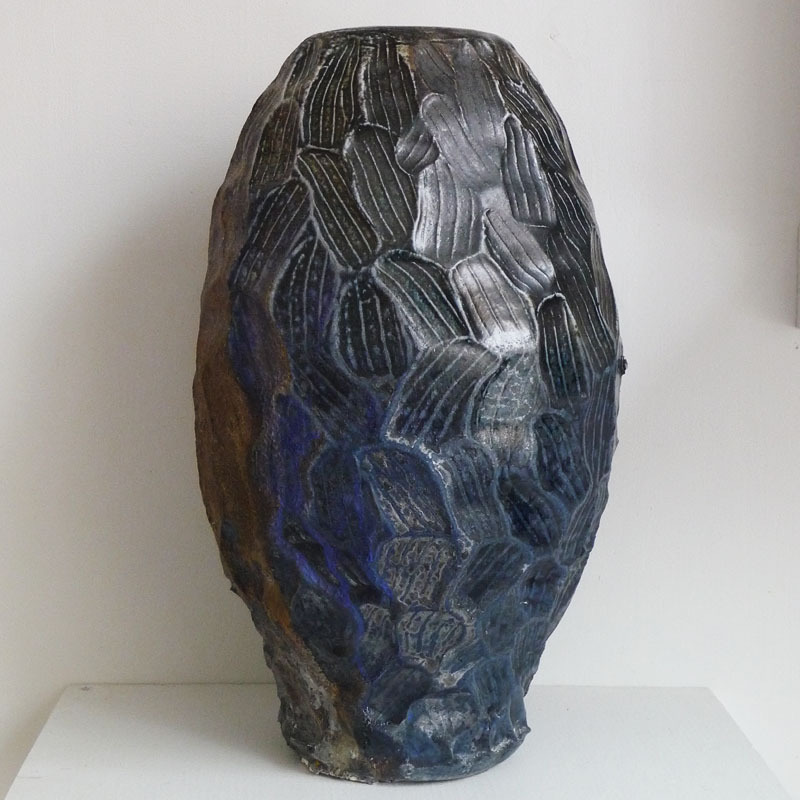 The black is raku fired and dates back to the 90's, when I lived in the countryside. The white is a "city" version, inspired by my relocation to the city. STEN LYKKE MADSEN (b. 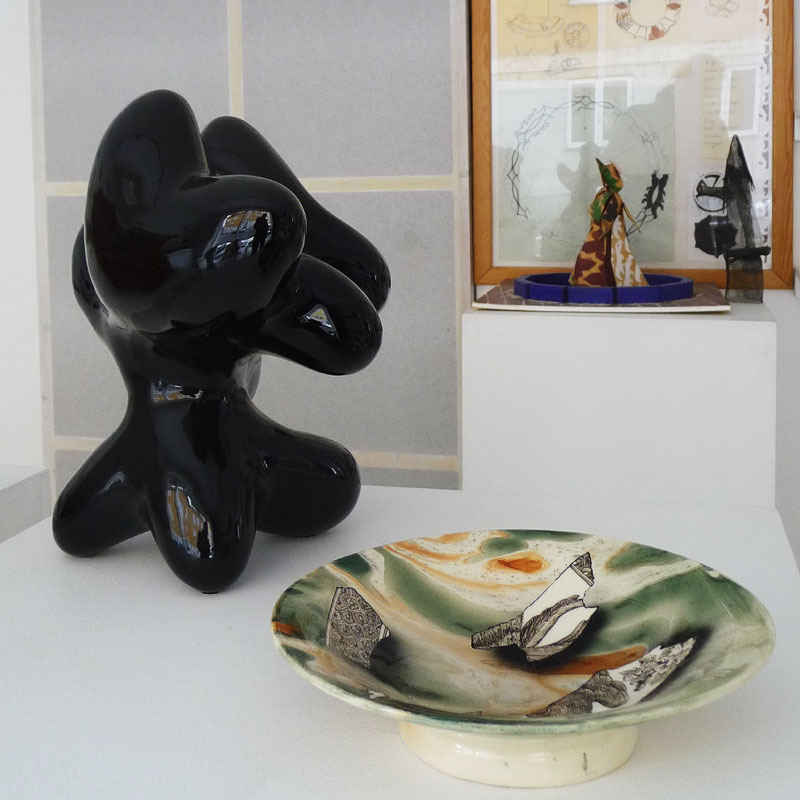 1937, DK) was educated at the School of Applied Arts, Copenhagen 1954-58. EMPLOYEE Bing & Grondahl and Royal Copenhagen 1962-03, guest teacher Kolding School of Design 1981-05. TRAVELS eg. Japan 1979 and 2006. ARTIST-IN-RESIDENCE China 2004 International Ceramic Research Center, Guldagergaard from 2003. 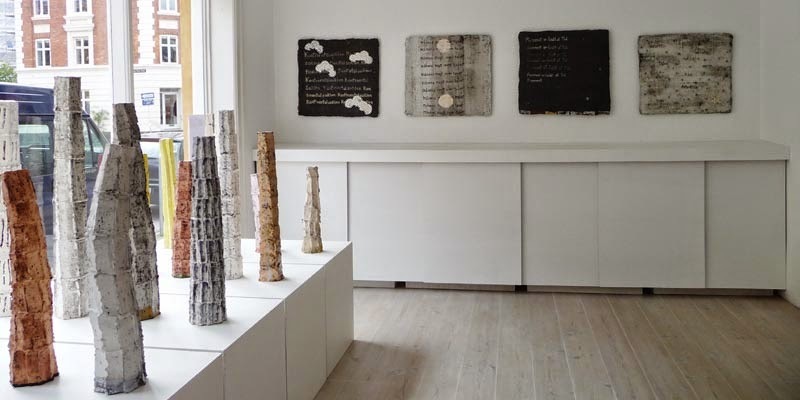 EXHIBITIONS 'Ceramic Ways' exhibitor and Co-founder since 1985, CLAY Museum 2017, Sophienholm 2015. solo Denmark Ceramics Museum Clay 2016. 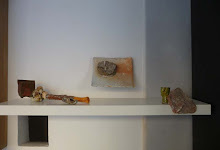 Ann Linnemann Galleri 2011,10,08. Puls Contemporary Ceramics, Belgium 2010, SOFA Chicago 2005. 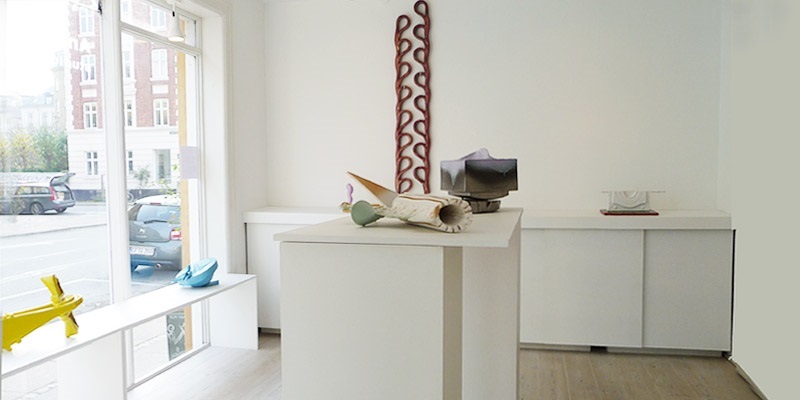 Gallery Nørby 1999, Charlottenborg 1975. 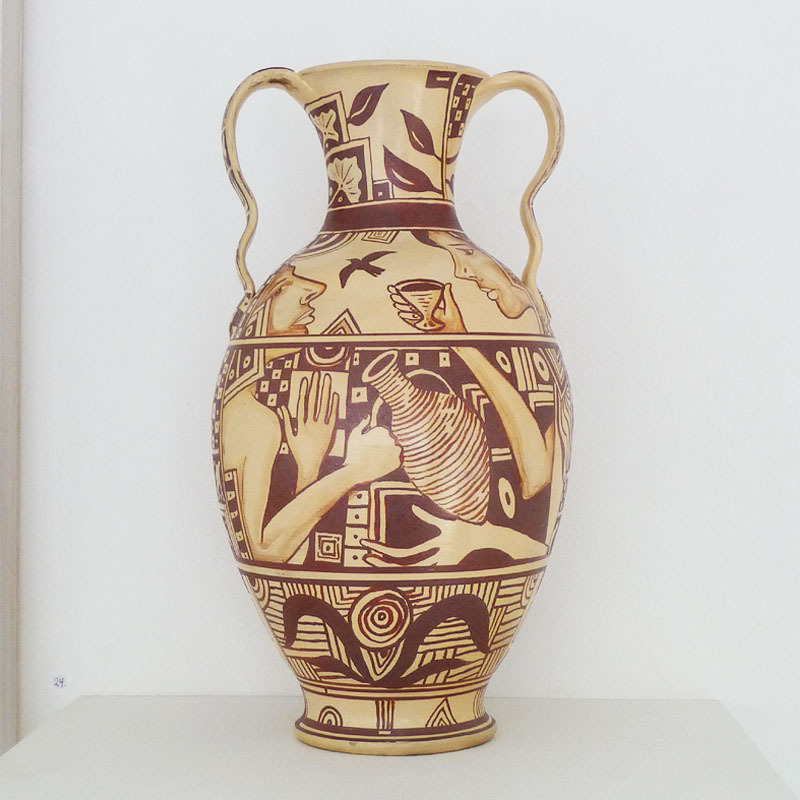 Concorso Internazionale della Ceramica, Faenza, gold winner 1975, 1967. WALL DECORATION Sølvgade 1993 Vesterbrogade, Copenhagen 1978. FOUNTAIN Store Torv, Holstebro 1986. GRANTS Danish Arts Foundation, Danmarks Nationalbank's Anniversary Foundation, Ole Haslund Artist Award and many others. STEPHEN BOWERS (b. 1953, AU) lives and works in Australia. 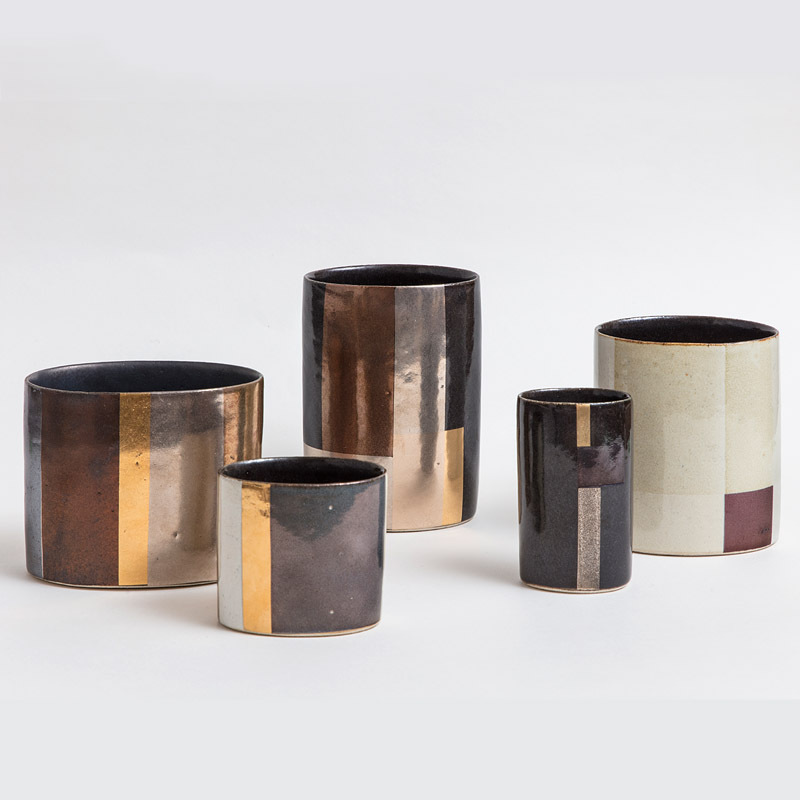 He brings together in his painted ceramic vessels many of the traditions from the history of ceramics. 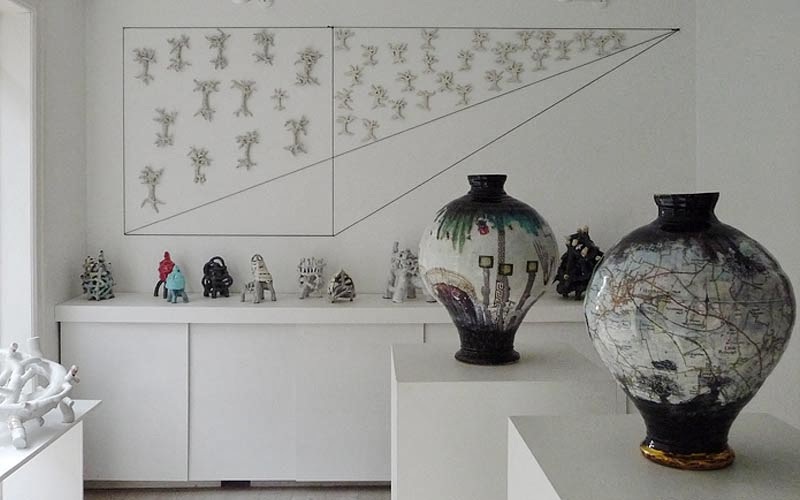 In any one piece, one might find traces of many familiar styles and decorations. 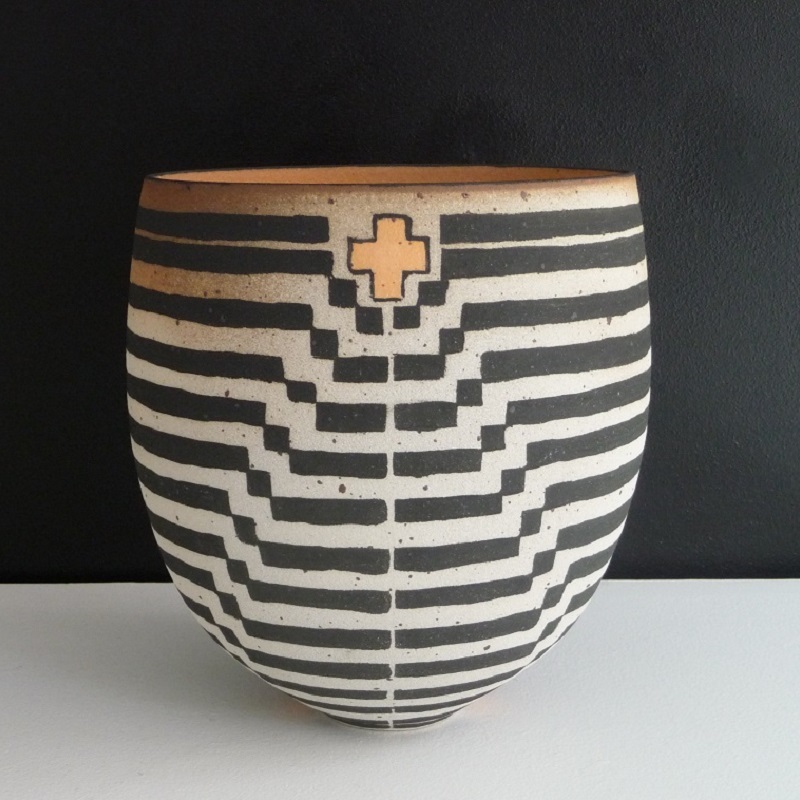 While maintaining a respect for the master techniques, Stephen Bowers' flamboyant and exuberant ceramics combine a classical ceramic heritage with inspiration from indigenous sources and are spiced with dashes of wit. 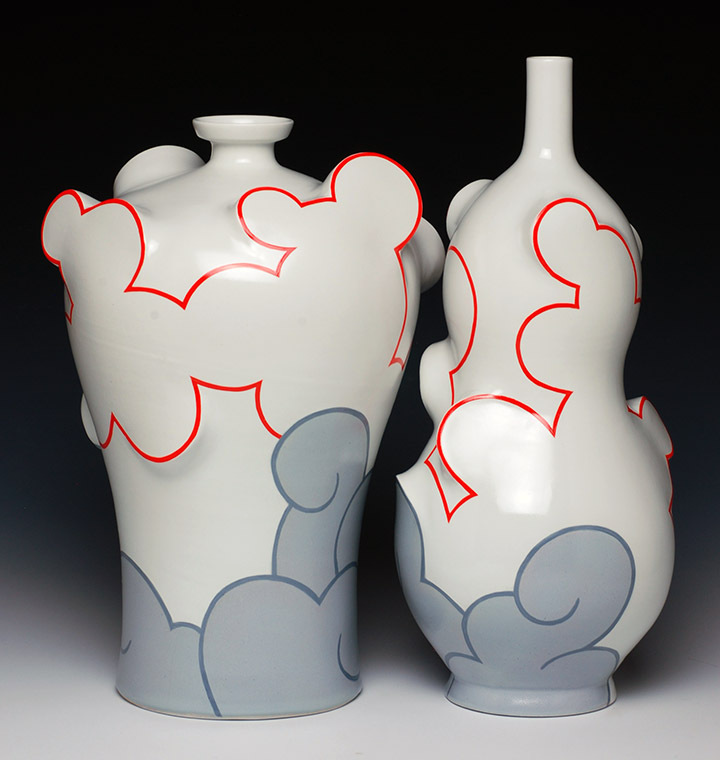 His work is distinguished by intricately painted underglazes which "wear its expertise lightly. 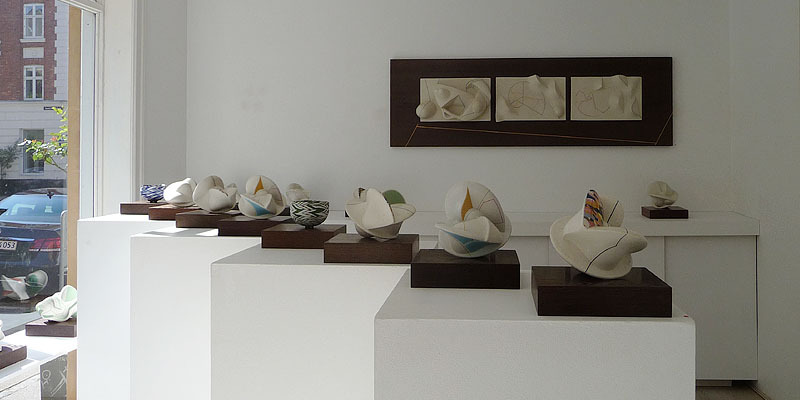 He is acknowledged for his detailed pieces, exhibiting in the USA, UK and Australia. 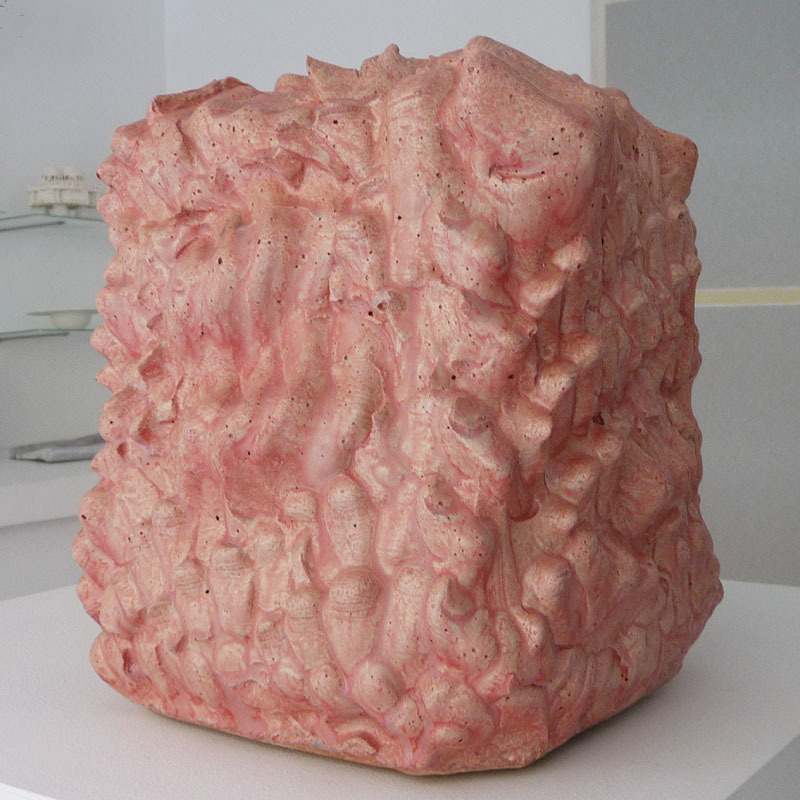 The cube is moulded in ceramic concrete and the expression is from the inside. It is a bodily cube, as the appearance of my fingers, skin, fist appears clearly. Therefore the title is "inside out". SØREN THYGESEN (b. 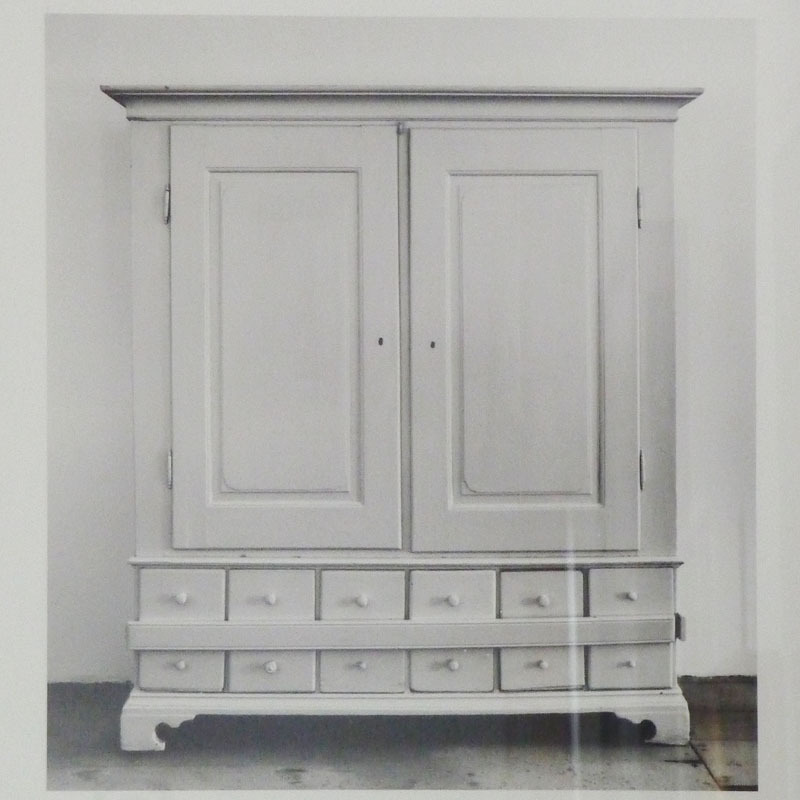 1961, DK) graduated from Kolding Design School 1987. Own studio since 1987. 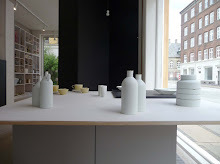 Employed by Kähler Ceramics, Næstved 1996-00 designer for Kähler 2007. 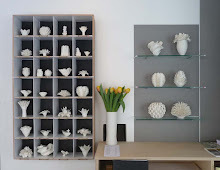 Associated Tommerup Ceramic Workshop since 2000. 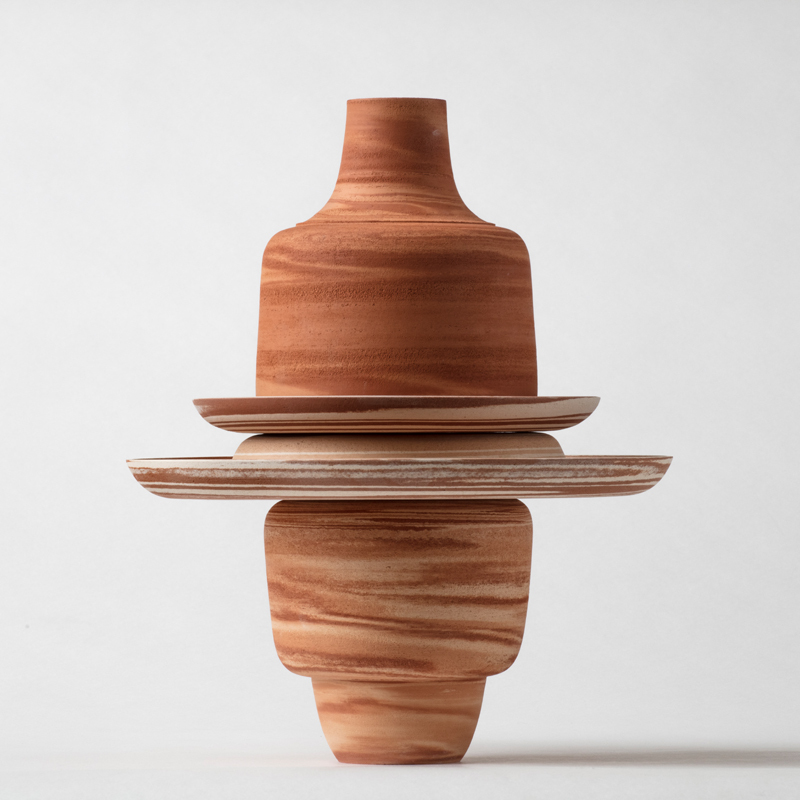 EXHIBITIONS Biennale of Craft and Design 2017,16,15. 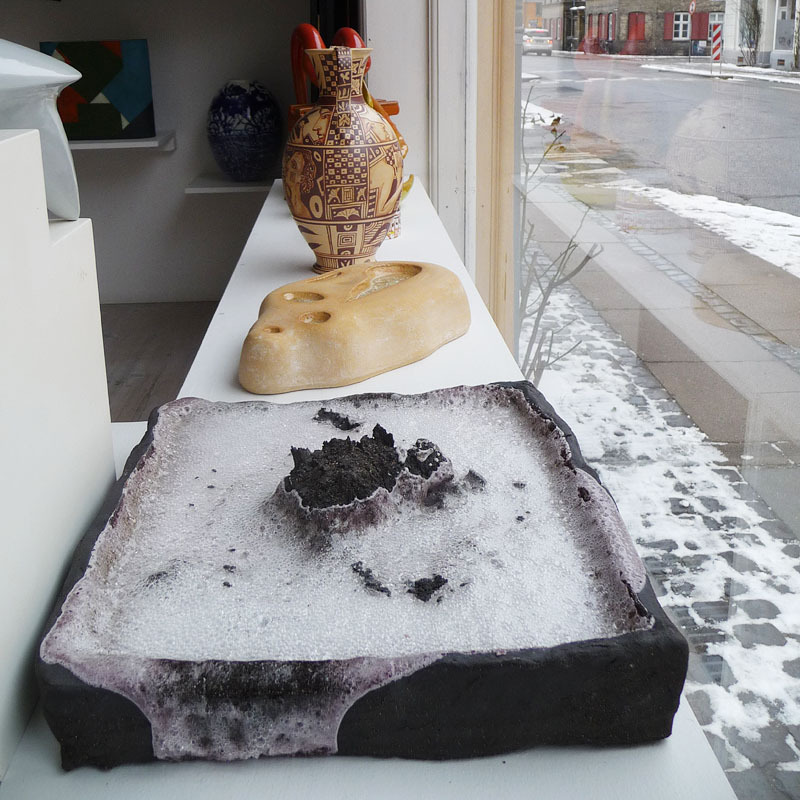 Ann Linnemann Gallery 2013. Morsø Art Association 2009. Politiken Talent Award 2008. Charlottenborg Spring Exhibition 2008,05,04,03. Autumn Art Exhibition 2006 05. Gallery Nørby 2005. 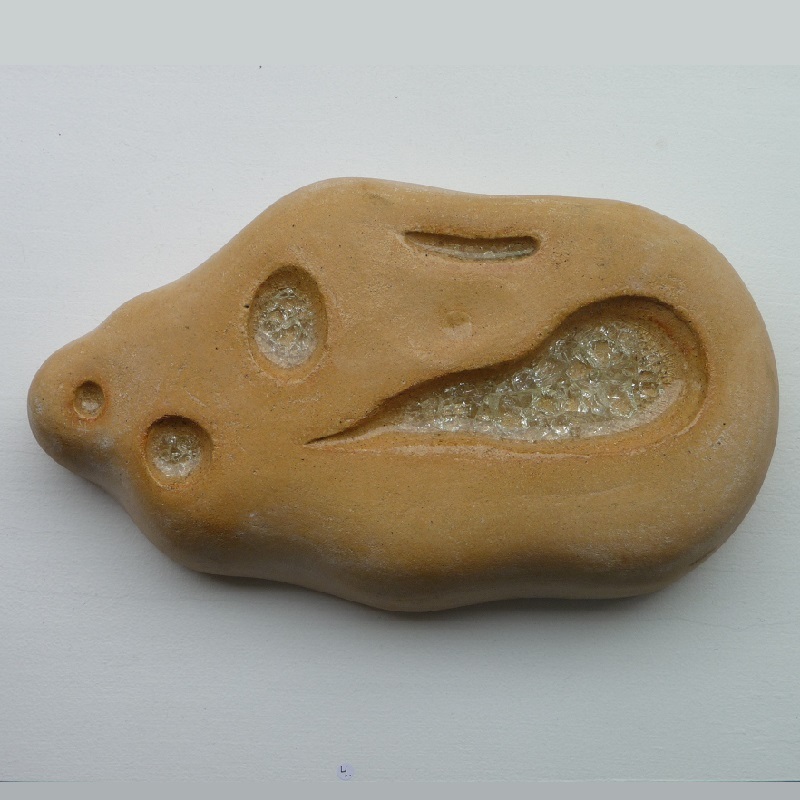 Funen Art SAK 2004. 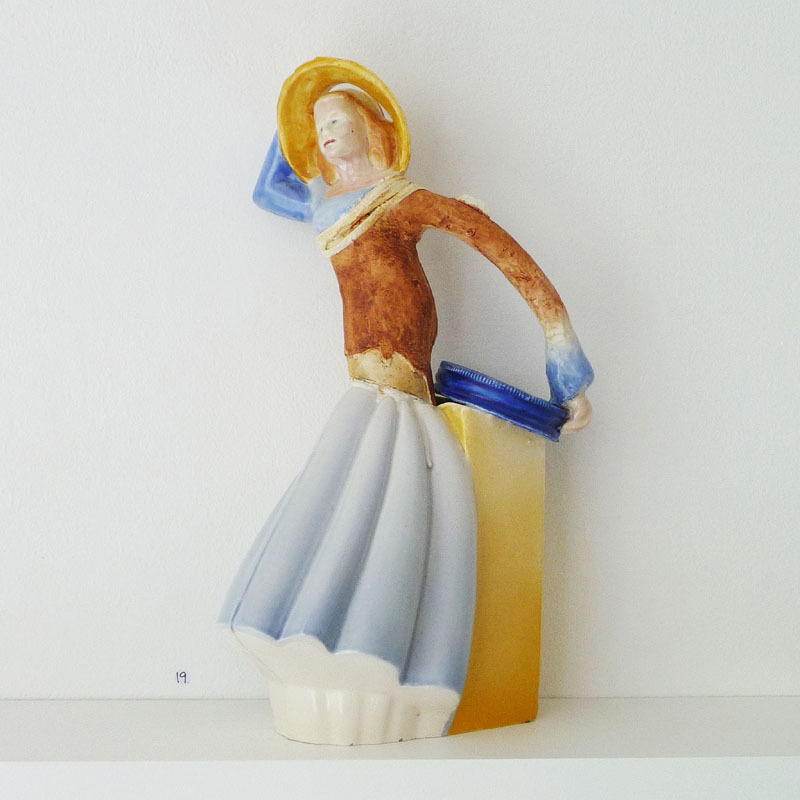 Danish Ceramics Triennial, Trapholt 1994. 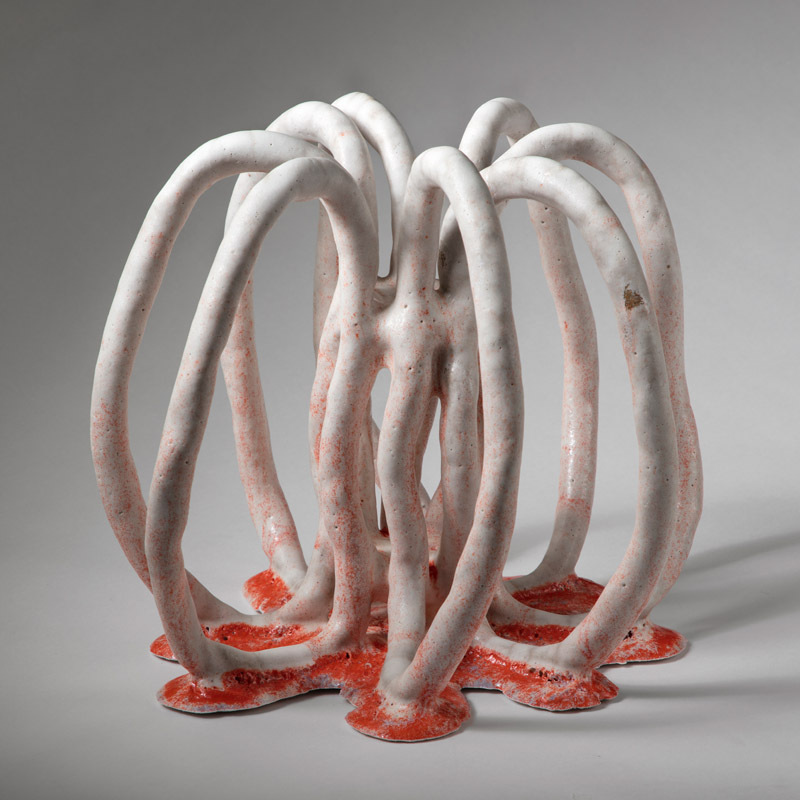 GRANTS & AWARDS 1st prize Biennial for Craft and Design 2016, Danish Ceramics Triennial Trapholt; Danish Arts Foundation; Ole and Yelva Nimbs Honorary Award; Ole Haslund's Artist Award; Krøjer's Foundation. 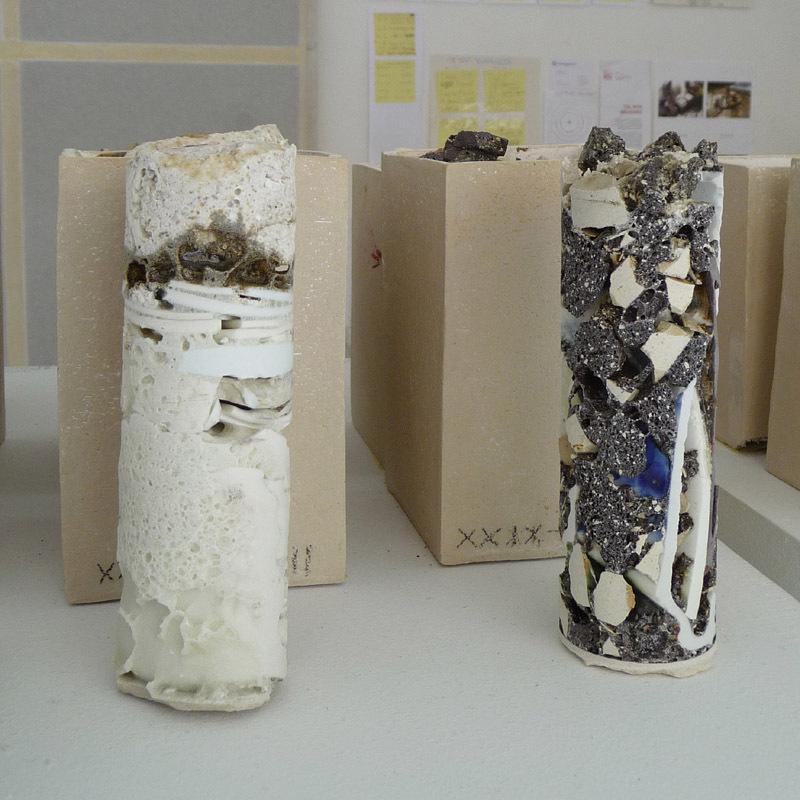 The work has aged, recycled clay, coffee dregs and lava sand. The archetypes of which convey the idea of nature, embrace. 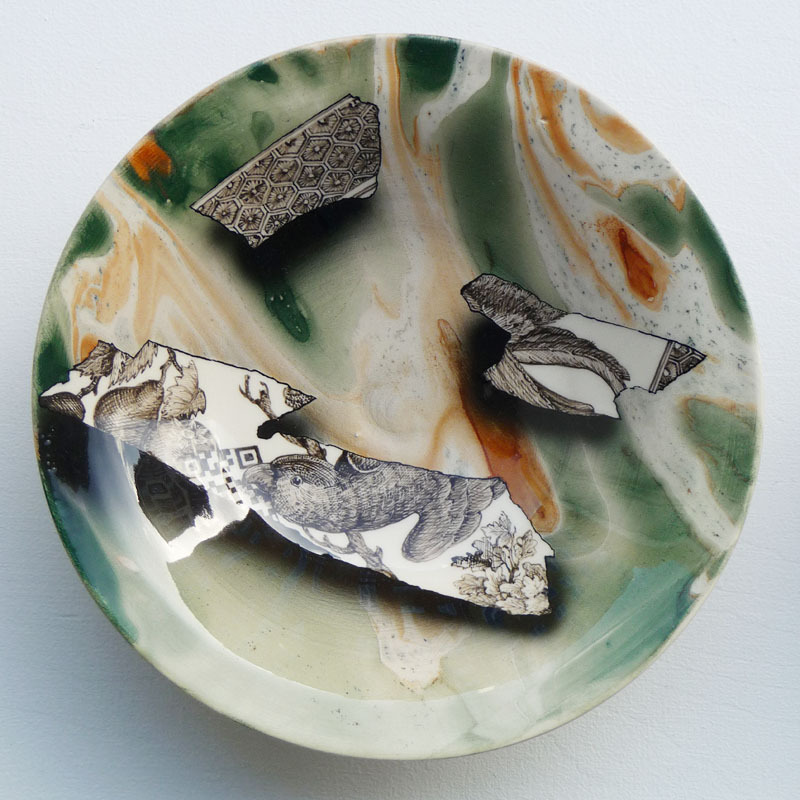 Universal elements as water, earth and fire are translated to the main ceramic elements glaze, clay and firing. 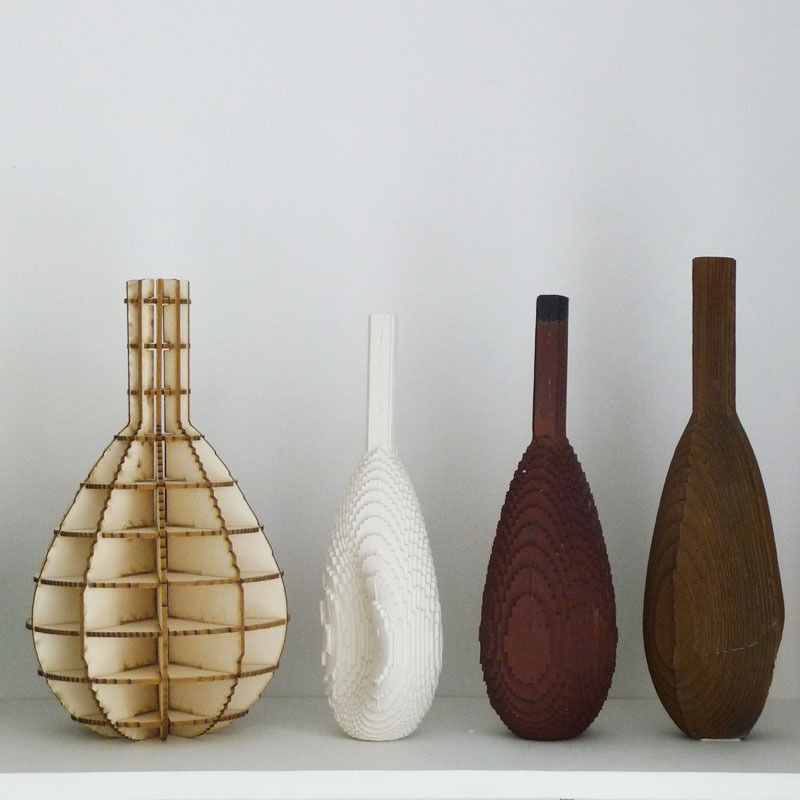 Computer animated vases appear as sketches and unpolished vases in an innovative expression - working towards a complete design.